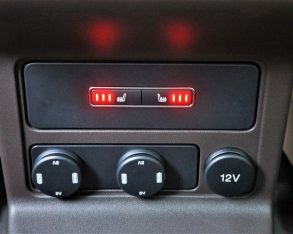 to set everything right in the world again. 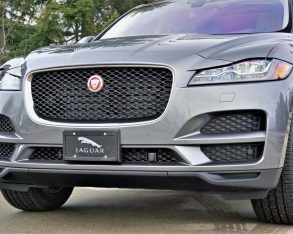 Jaguar’s new 20d turbodiesel four-cylinder isn’t about to get Rona Ambrose high-fiving Trudeau or Hillary warming up to Trump, but it should be good news to disenfranchised Audi Q5 TDI, BMW X3 28d, and Mercedes-Benz GLK250 BlueTec owners still wishing and hoping they could trade up to “clean” diesel performance. 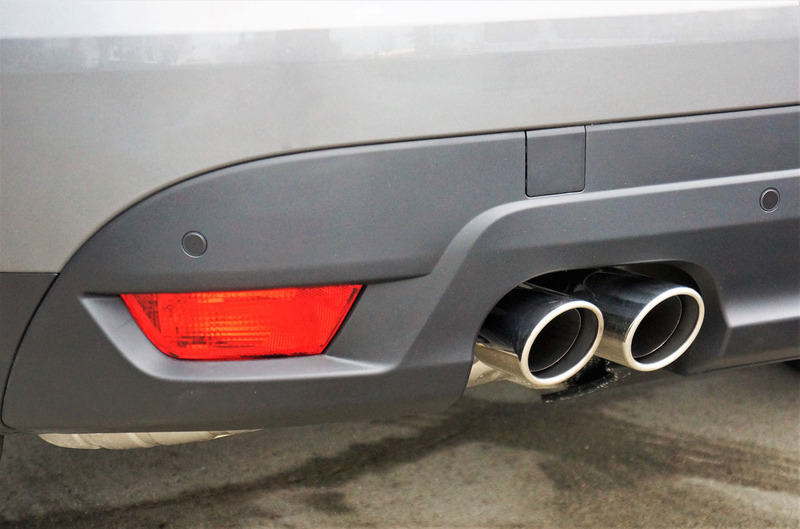 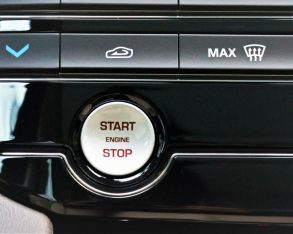 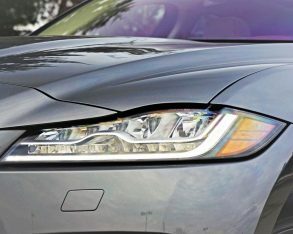 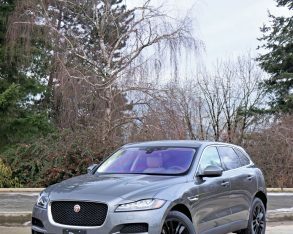 We all know the Dieselgate story that saw VW group’s oil burners leave most global markets in shame, and by know many will also know BMW and Mercedes no longer sell diesels in North America, so it came as a pleasant surprise to see Jaguar, of all brands, show up with a diesel of its own this year. 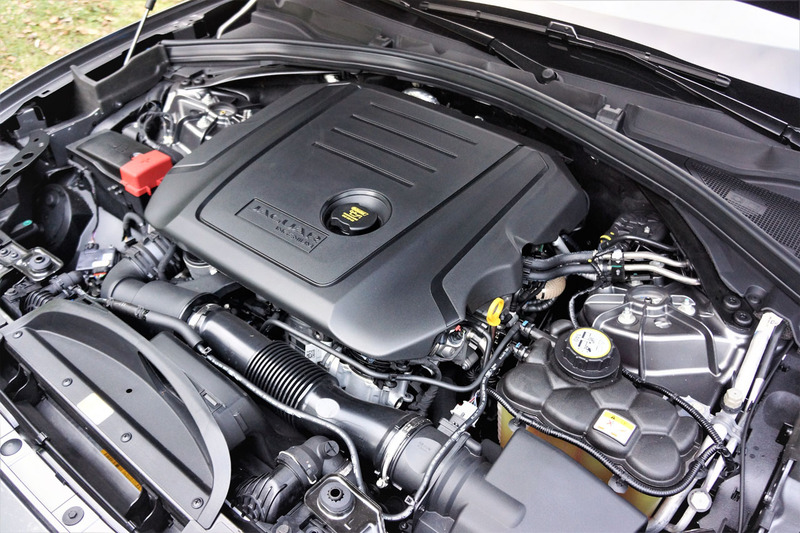 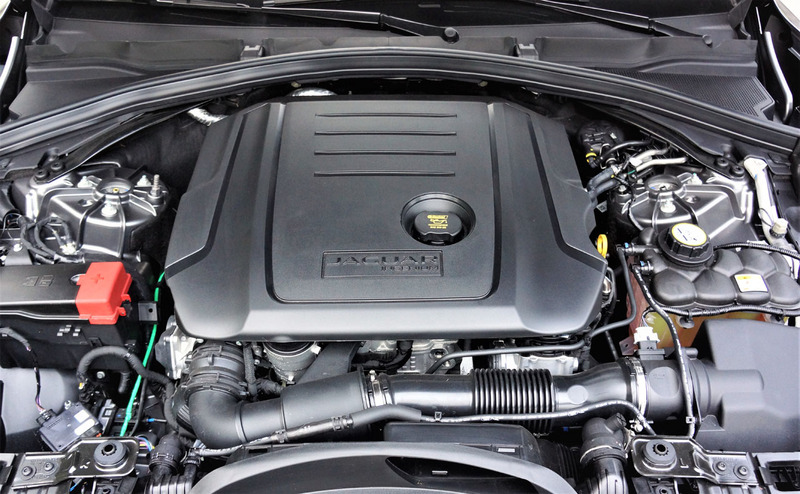 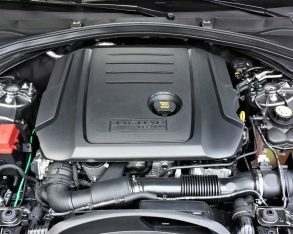 engineers and used in Ford, Lincoln and even Aston Martin cars, and the V6 that spawned from the just noted AJ-V8 engine design, the British brand’s new Ingenium diesel has been engineered completely in-house at Jaguar’s Engine Manufacturing Centre in the West Midlands, UK. 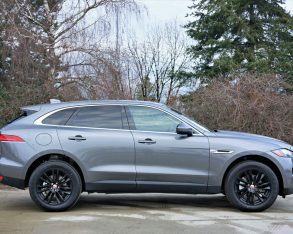 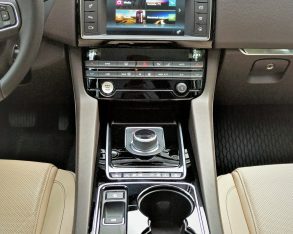 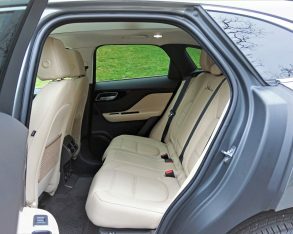 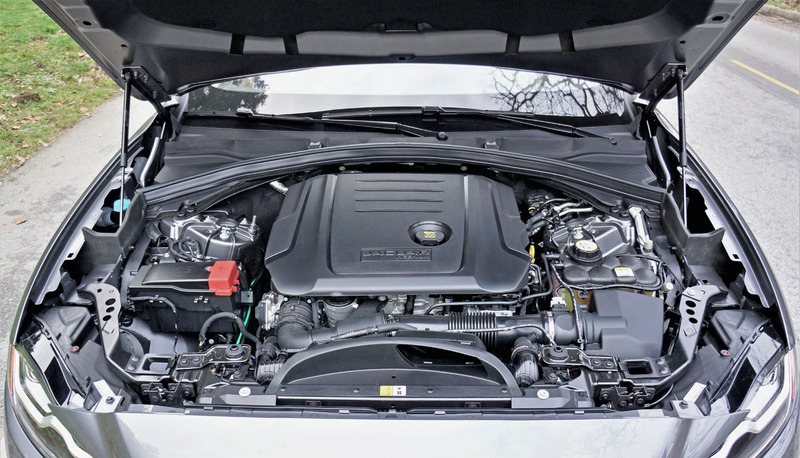 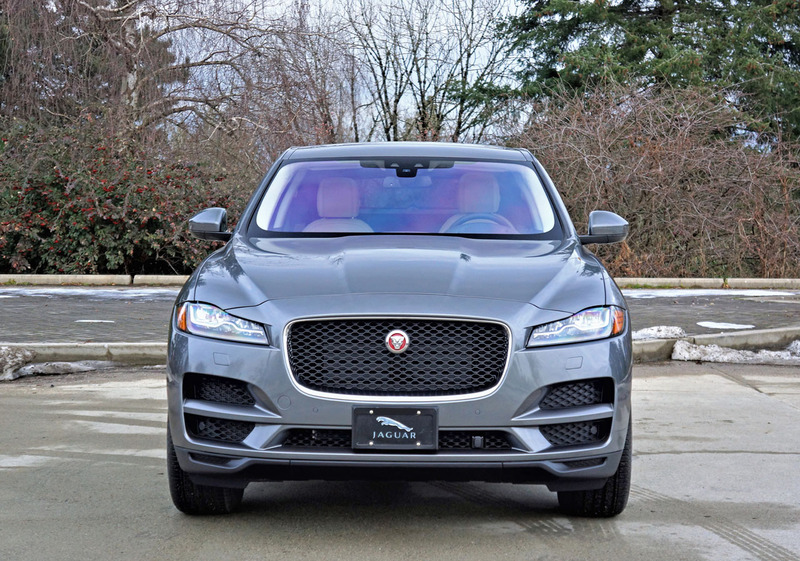 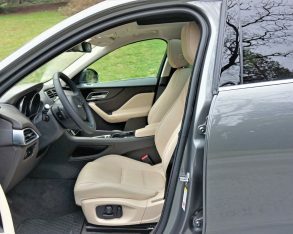 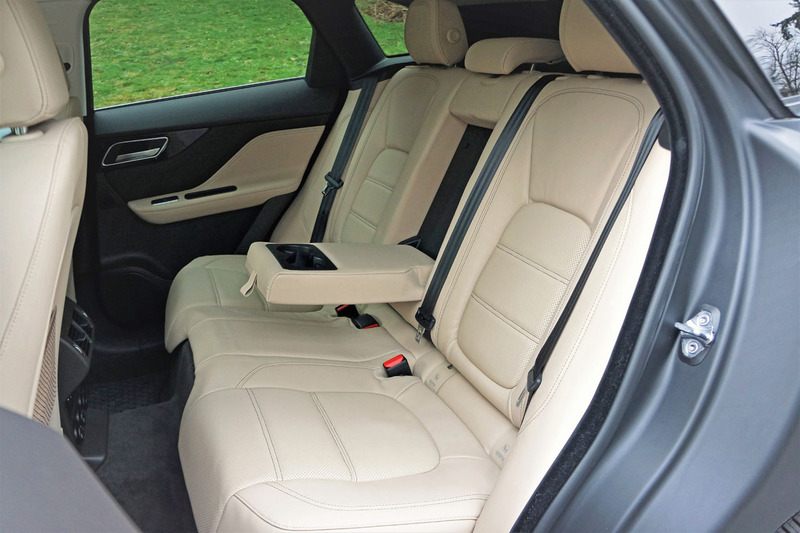 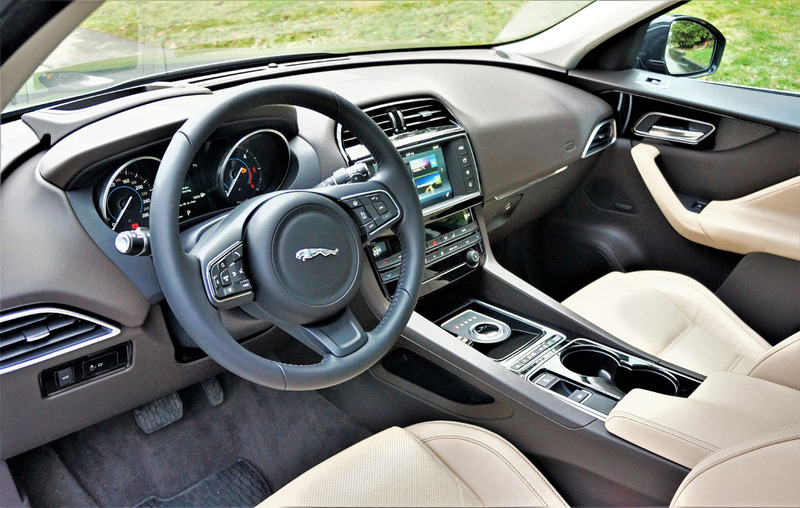 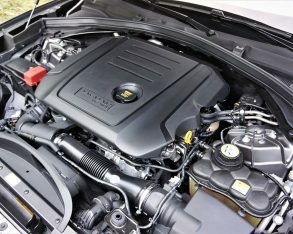 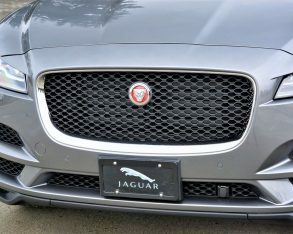 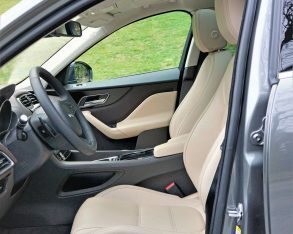 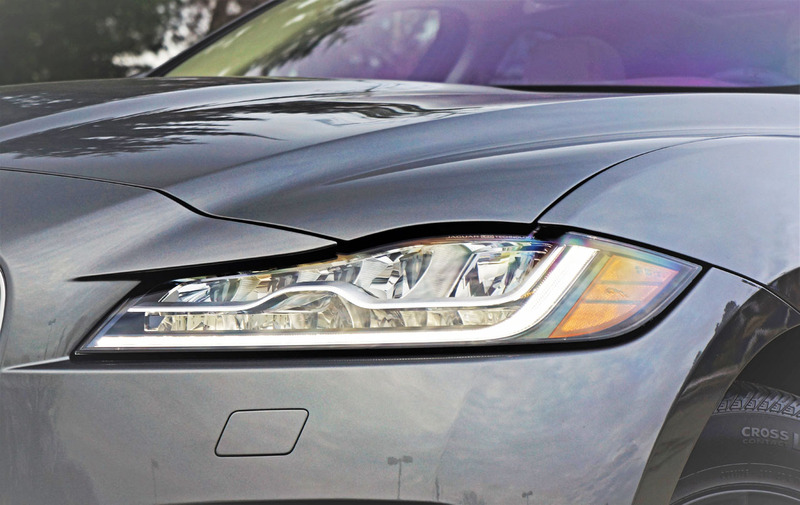 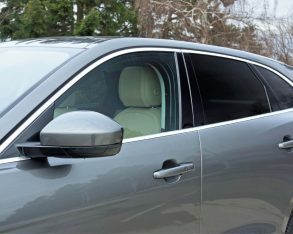 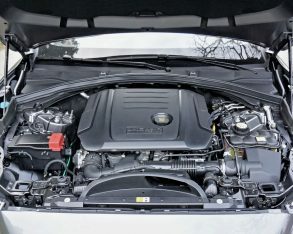 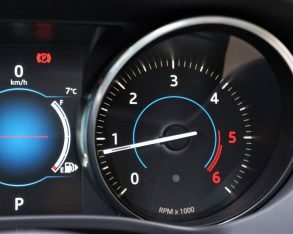 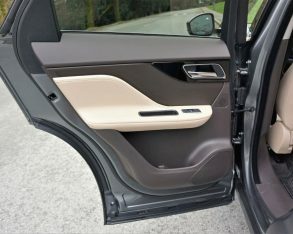 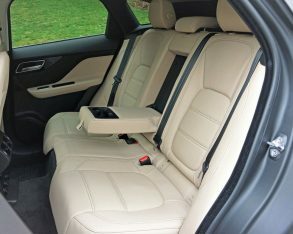 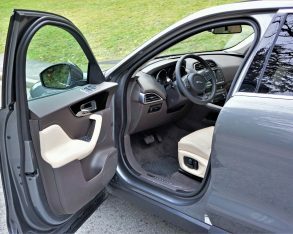 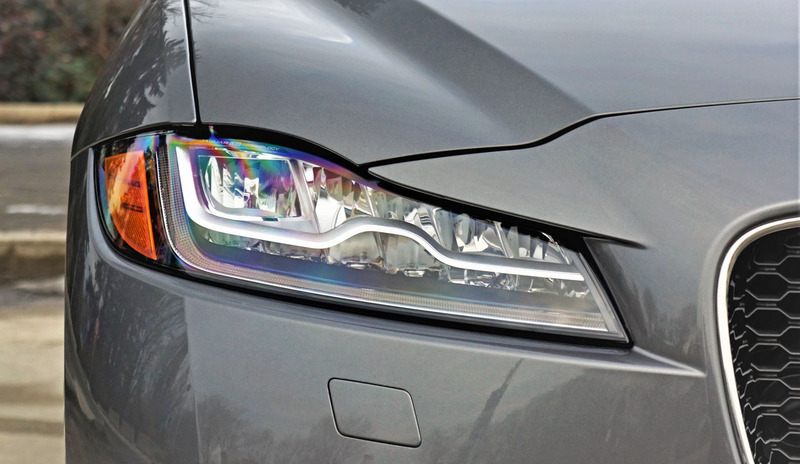 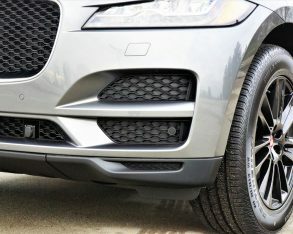 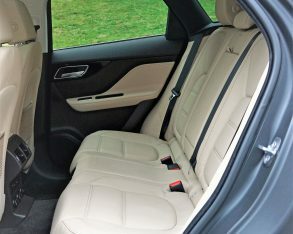 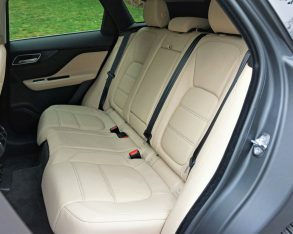 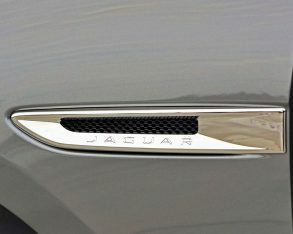 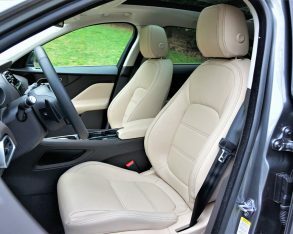 not sure what type of hypermiling techniques Jaguar’s British team was using to initially test the engine in the XF, but the Canadian numbers are still superb for luxuriously equipped compact D-segment to mid-size E-segment sedans, while the near mid-size F-Pace’ fuel economy, fully rated at 8.9 city, 7.2 highway and 8.1 combined makes it the most efficient non-hybrid in the class. 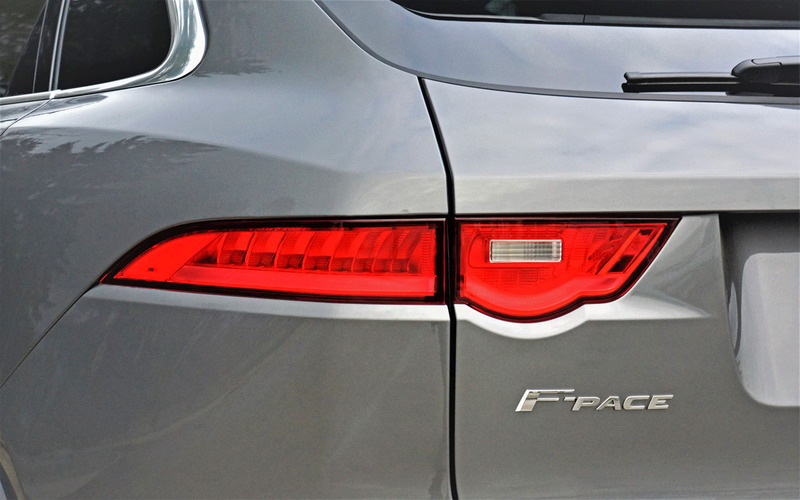 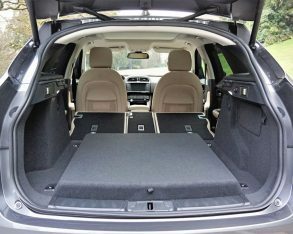 What’s more, if you spend a lot of time on the highway the F-Pace 20d is number one overall, by a long shot. 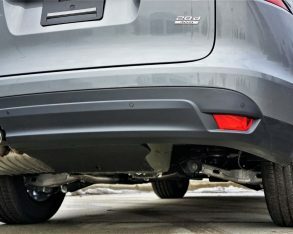 have fallen slightly is the aforementioned price of crude, which has put our economy in turmoil, another reason we should be considering fuel economy more than ever. 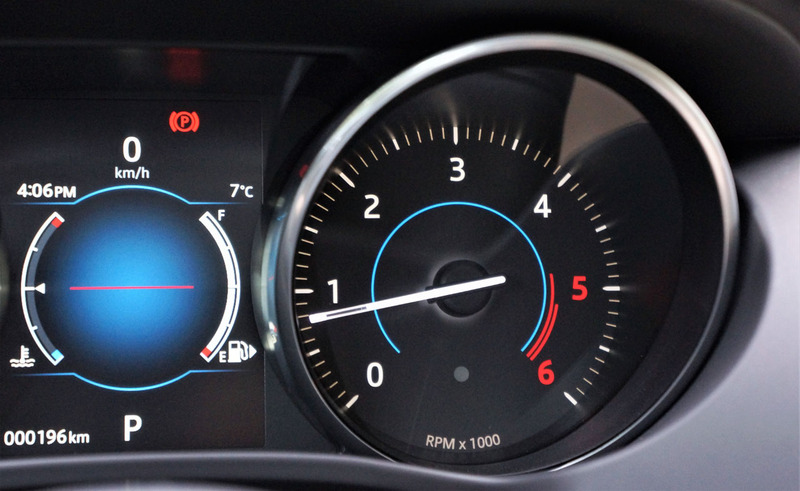 argument of more distance covered using considerably less fuel, which certainly helps. 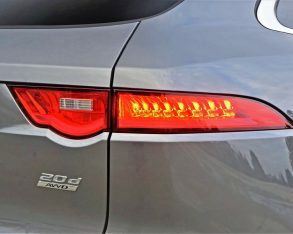 For me, it’s the way the 20d drives. 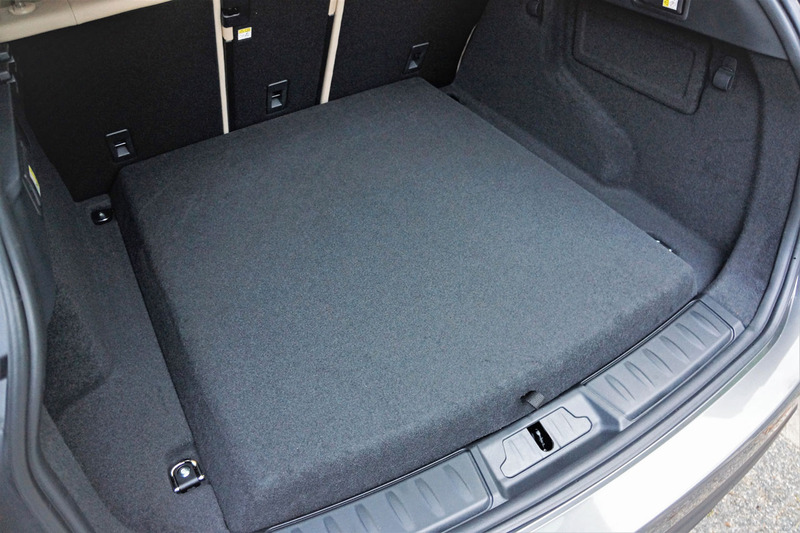 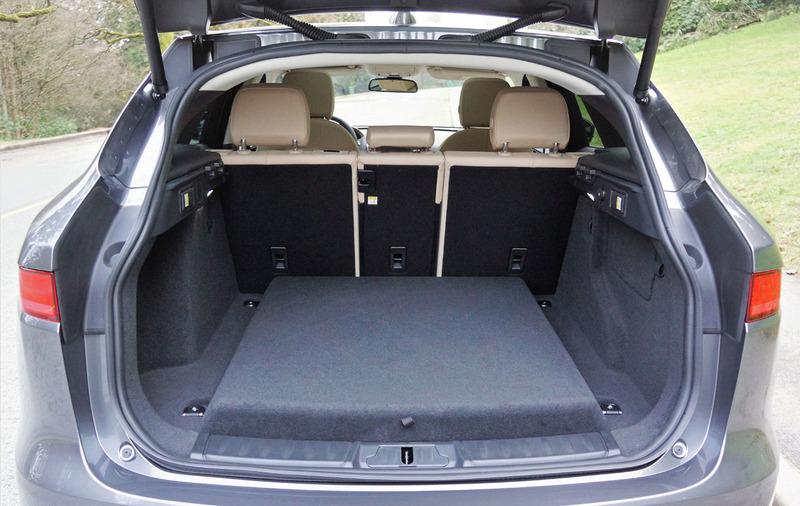 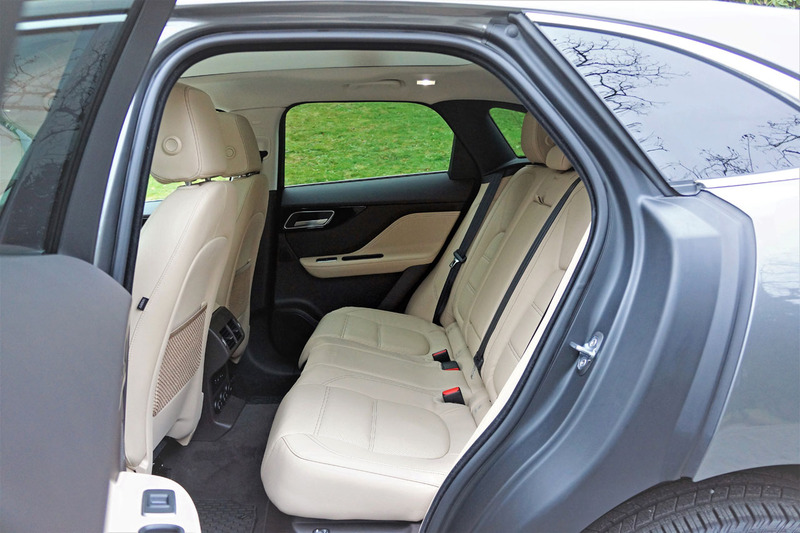 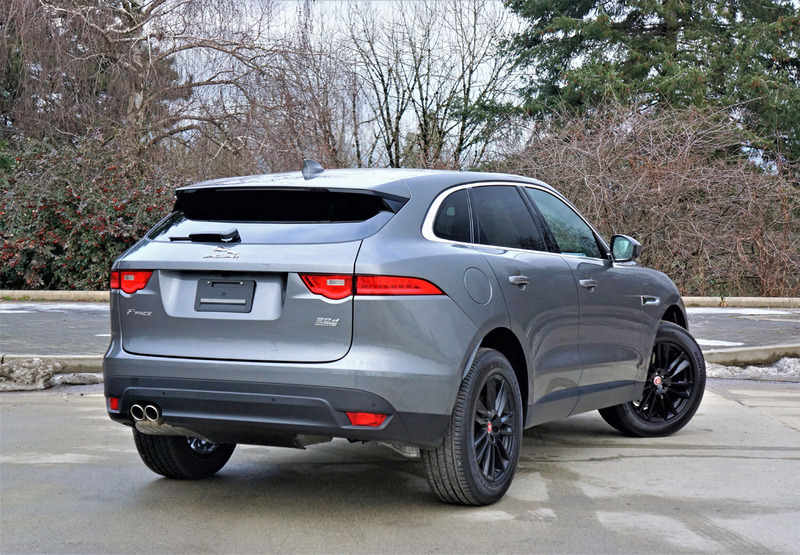 20d can haul on its back, while electrified all-wheel drive isn’t known for off-road capability either. 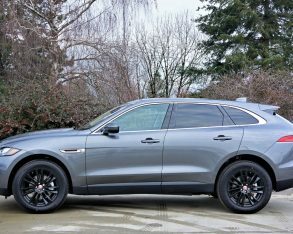 The ability to go wherever the road or trail takes you is a diesel trait, not that this was the primary objective of the F-Pace. 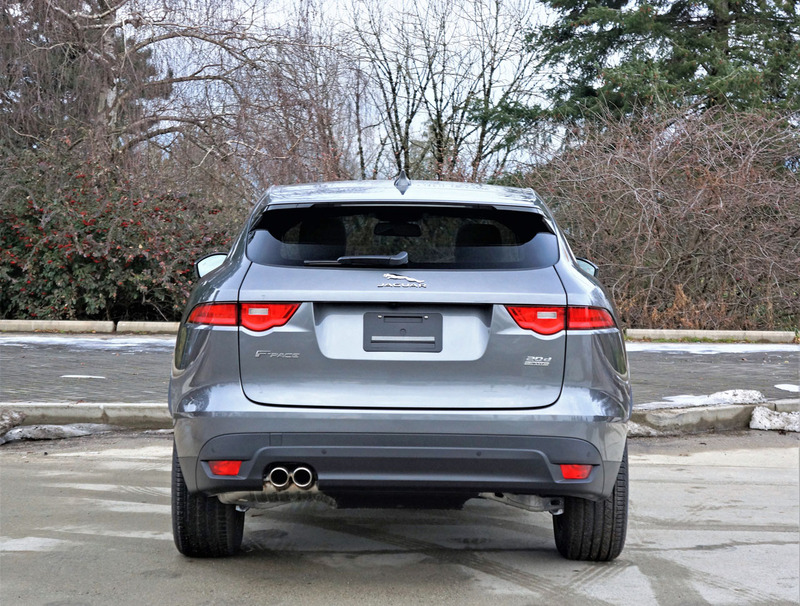 That’s Land Rover territory after all, but Jaguar didn’t only provide their first SUV with legs for pavement. 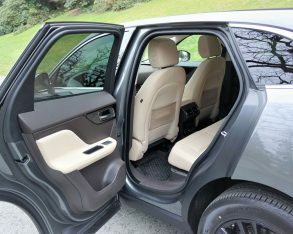 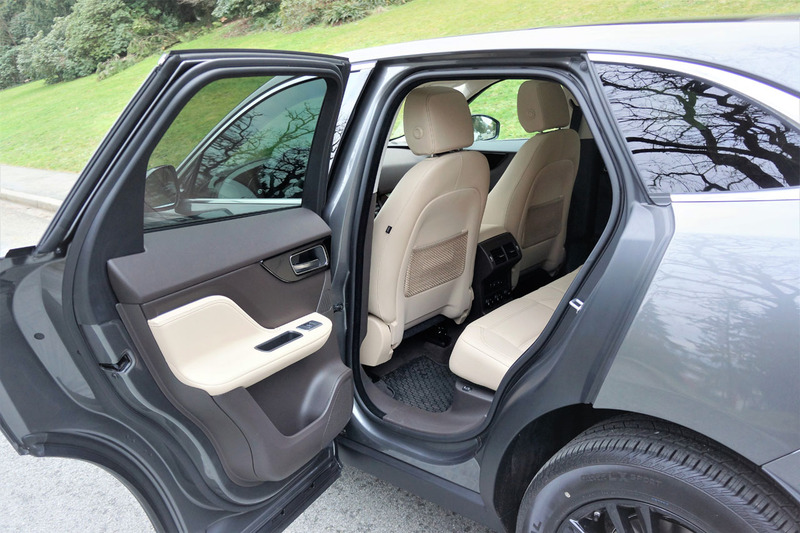 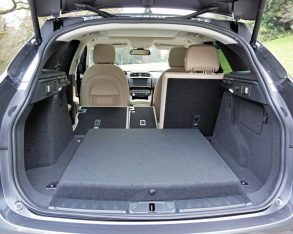 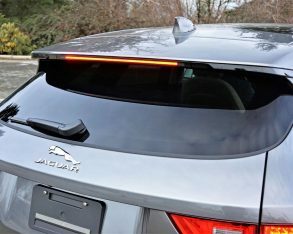 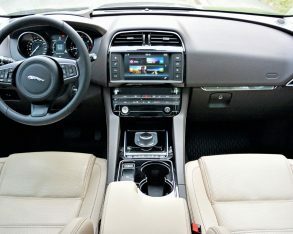 It boasts 213 mm (8.4 inches) of ground clearance, which is the same as the Discovery Sport, while Jag’s SUV also includes a version of that Land Rover’s off-road tweaked hill-descent control, as well as a “crawl” setting that maintains a constant low speed by adding throttle and even braking without the need of feet on pedals, leaving you to solely concentrate on steering over and around obstacles. 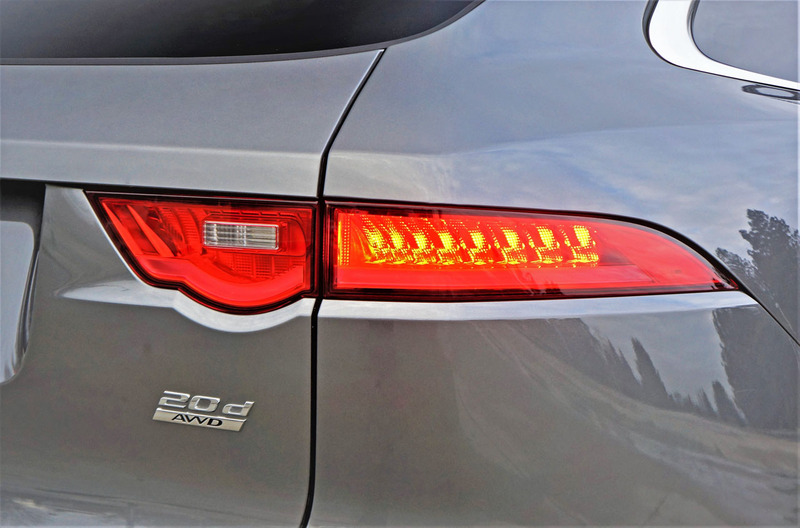 F-Pace’ ability to handle high speeds has piqued more peoples’ interest, mind you, and the 20d is no different. 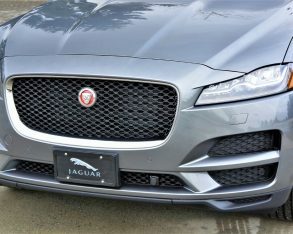 OK granted, it’s nowhere near as quick off the line or to highway speeds as the 340 horsepower 3.5t that sprints from standstill to 100km/h in just 5.8 seconds and then on to a terminal velocity of 250 km/h (155 mph), or for that matter the 380 horsepower 3.5t S hits the first mark in just 5.5 seconds and is similarly speed limited. 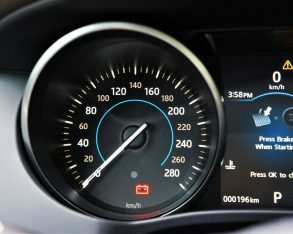 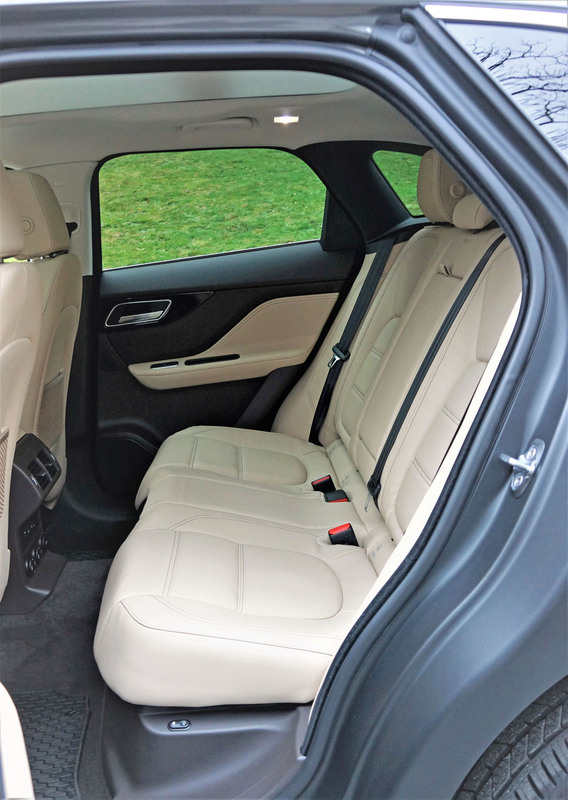 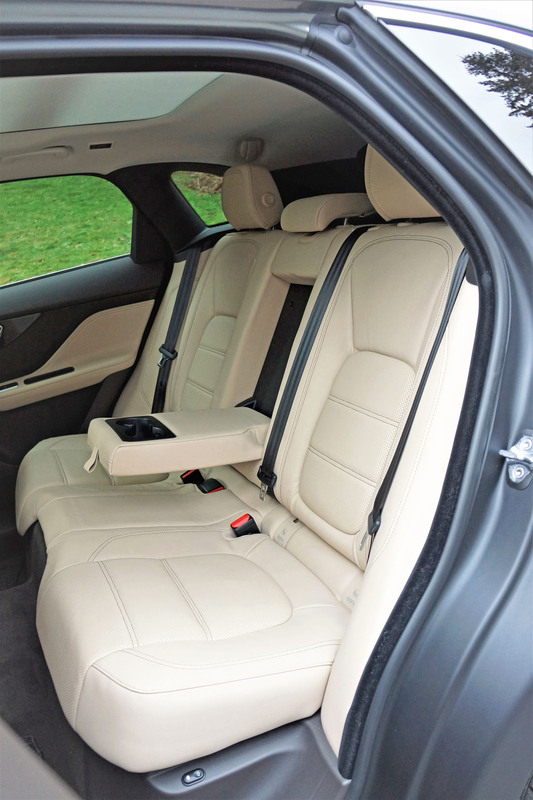 Instead, the 20d takes a leisurely 8.7 seconds to do likewise before topping out at just 208 km/h (130 mph), but it feels almost as agile through the corners as its more sporting siblings. 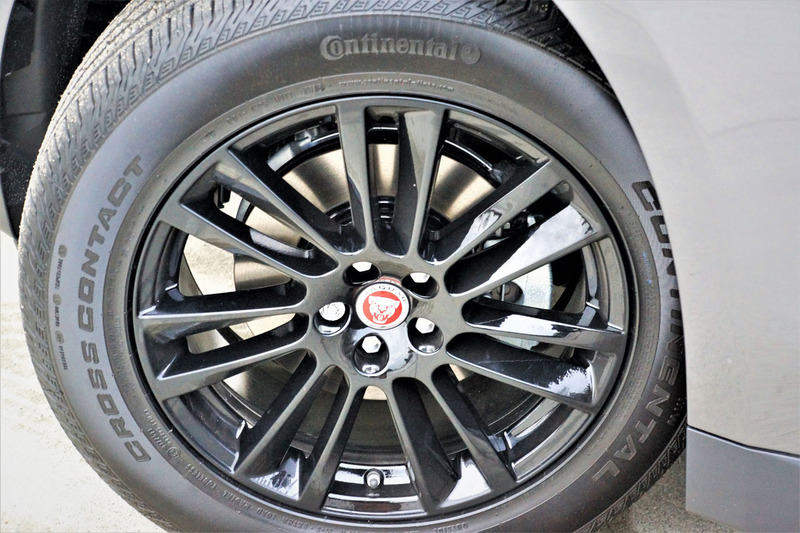 19s are standard, these wheels simply done out in a jazzier finish. 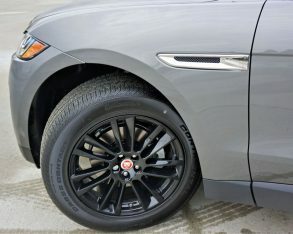 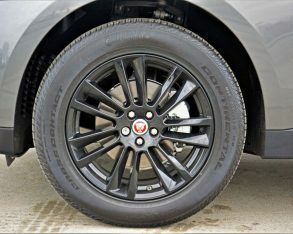 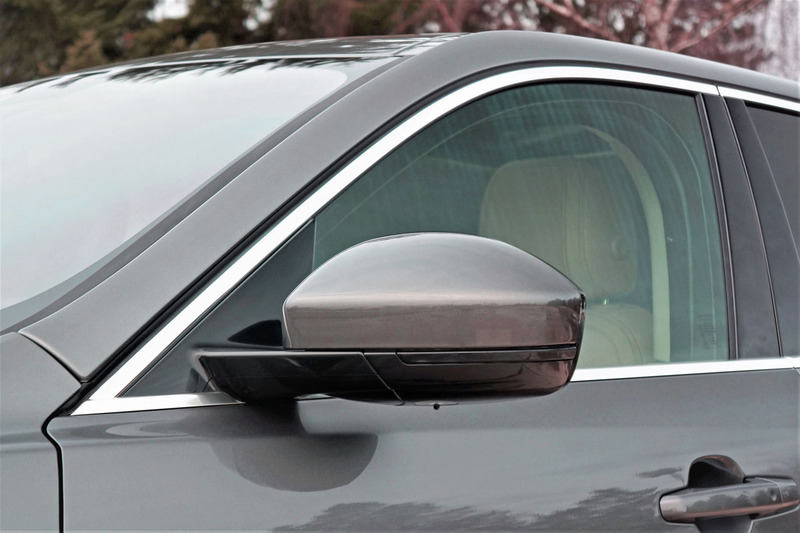 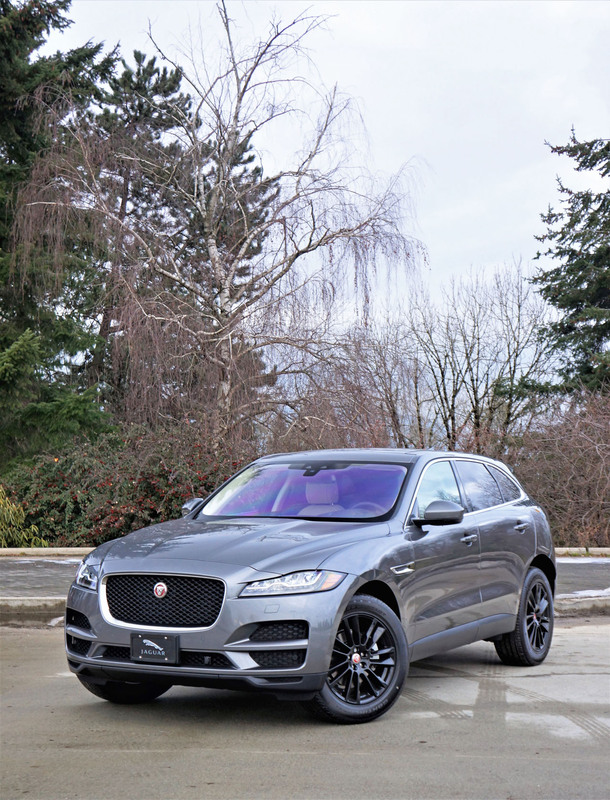 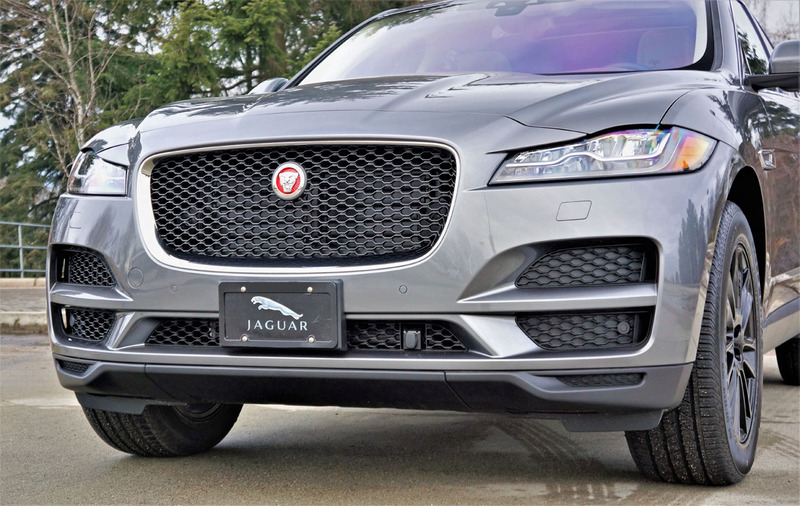 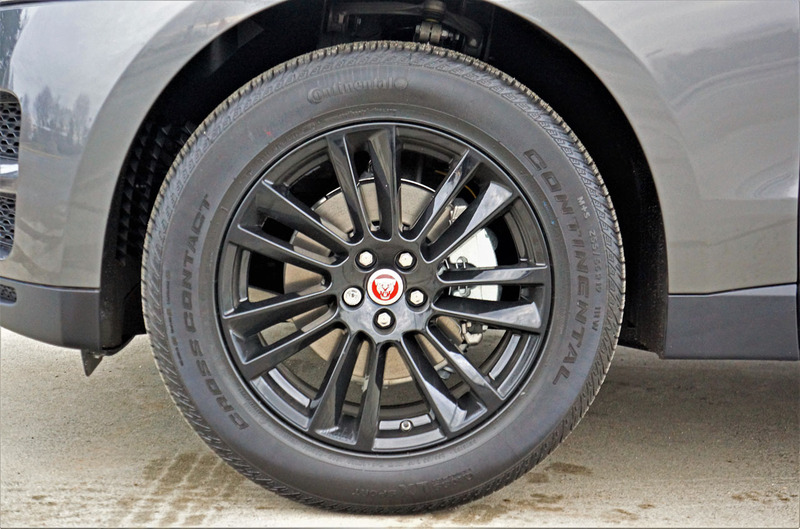 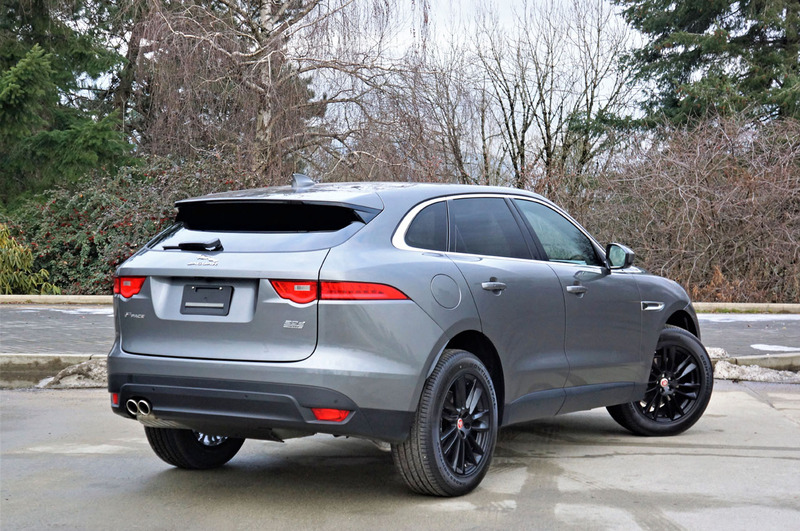 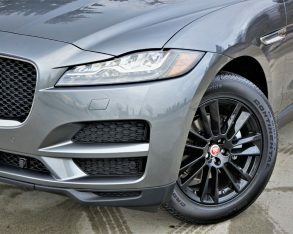 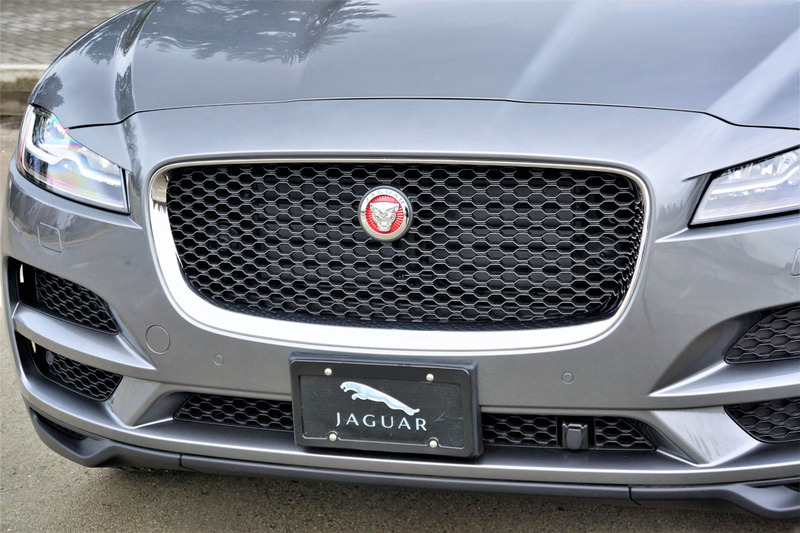 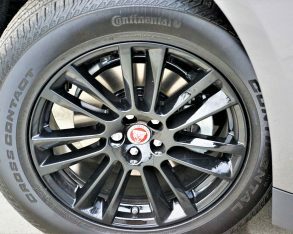 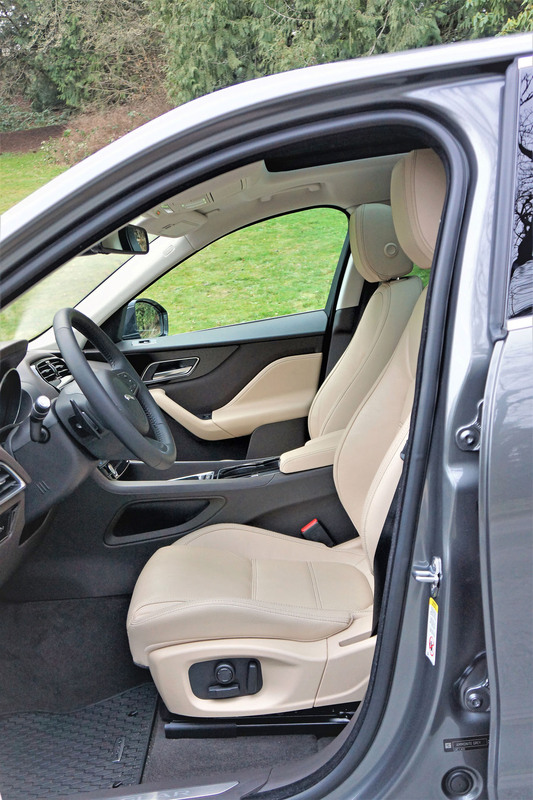 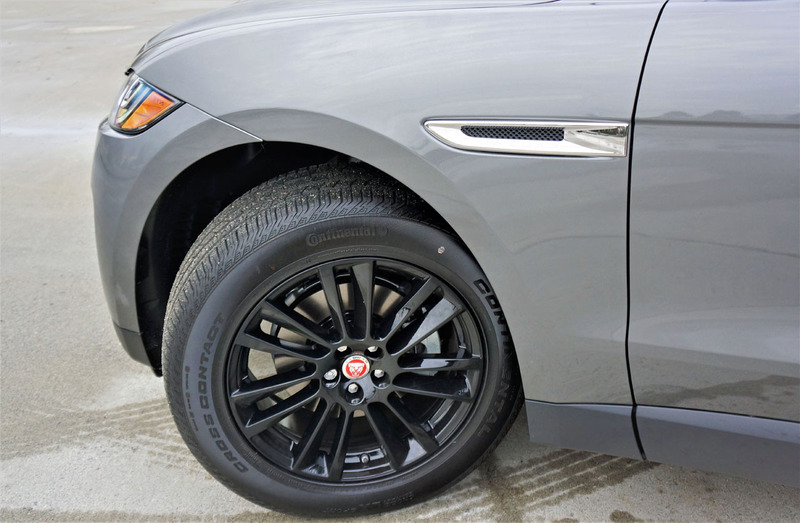 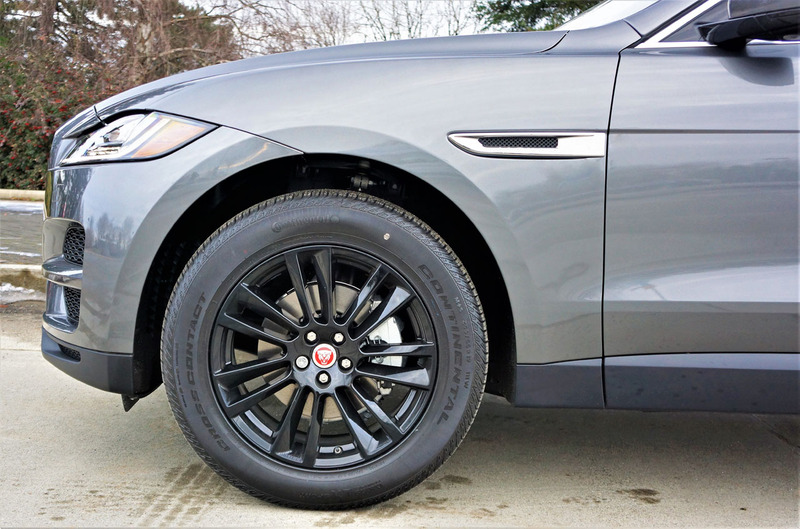 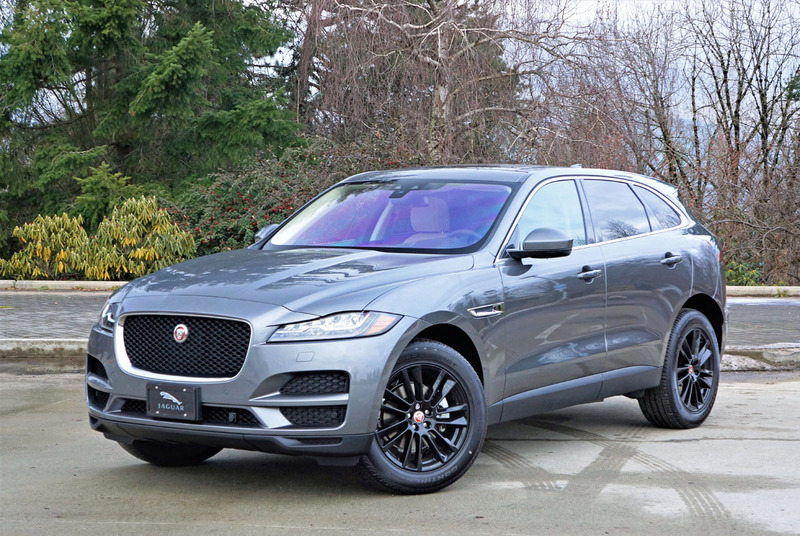 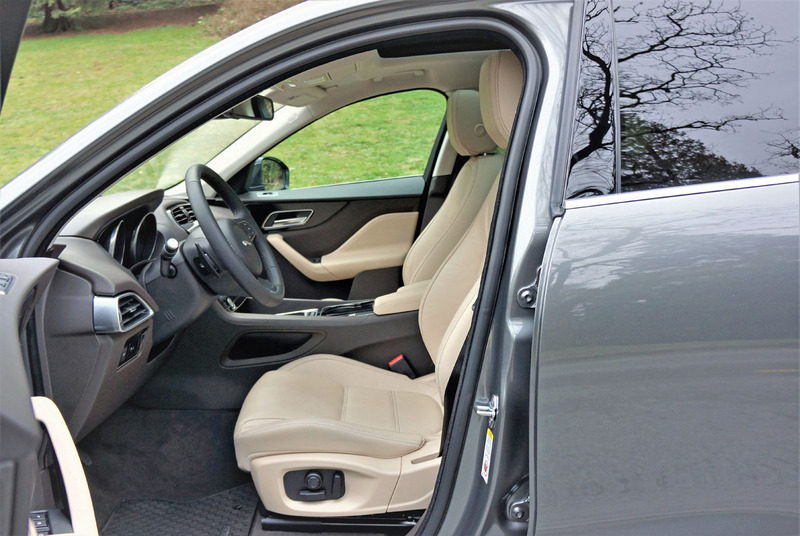 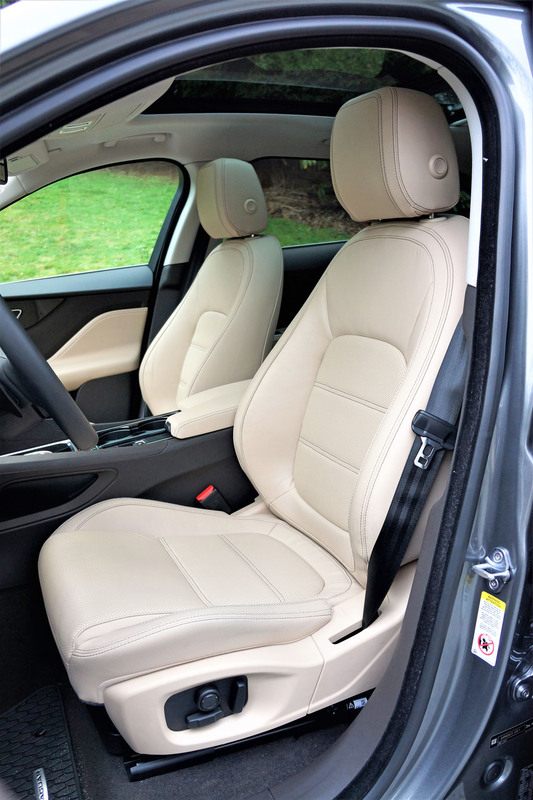 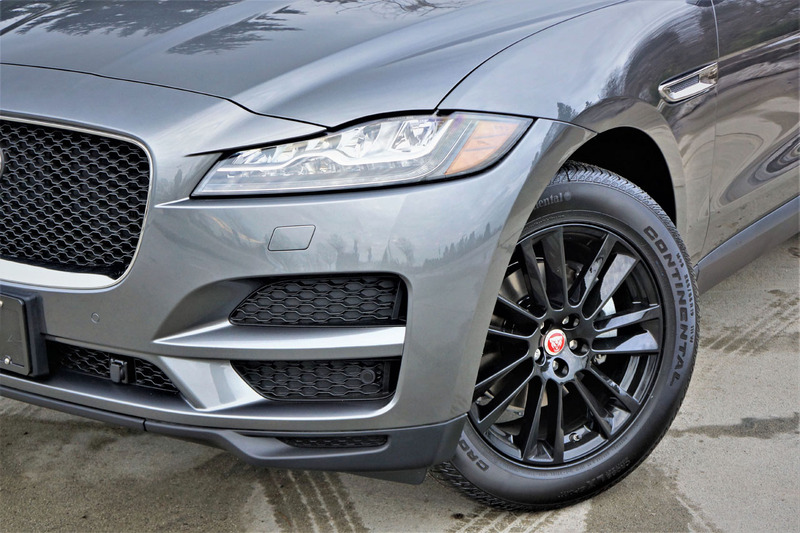 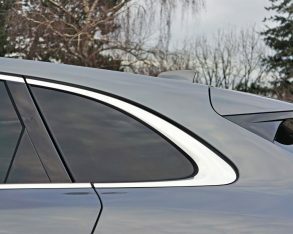 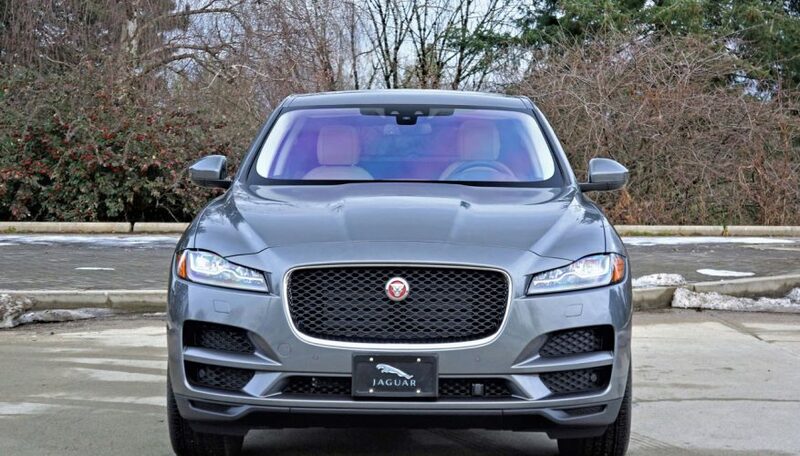 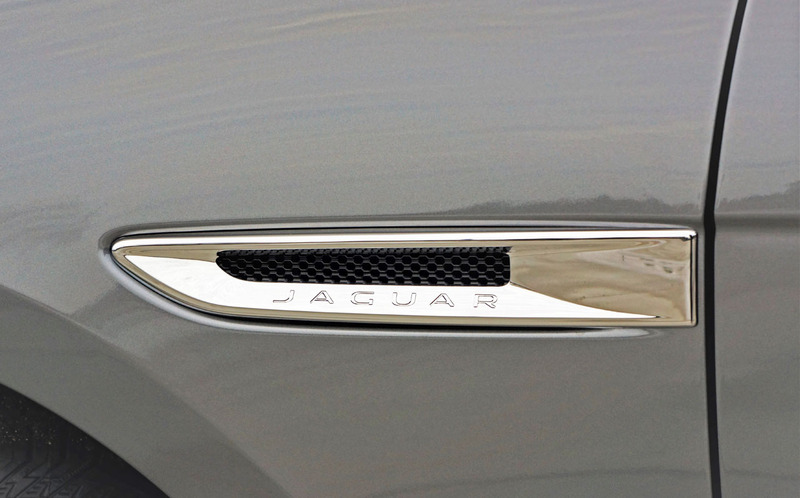 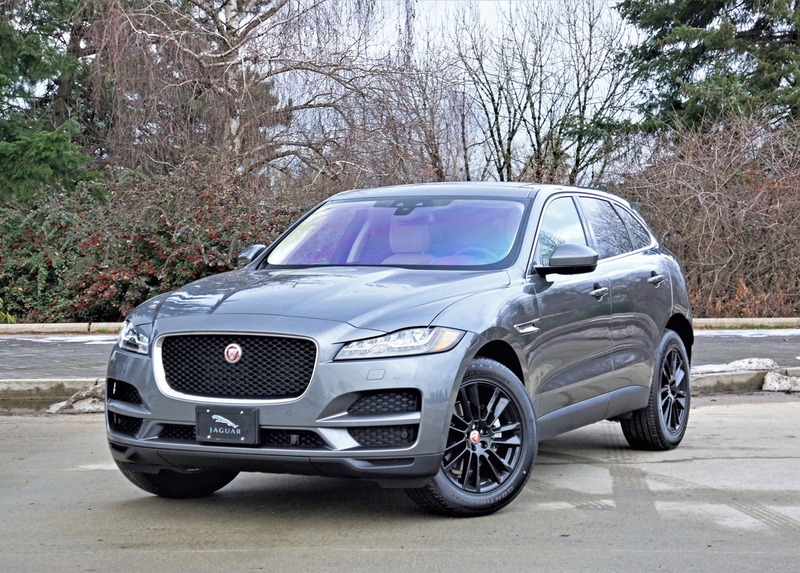 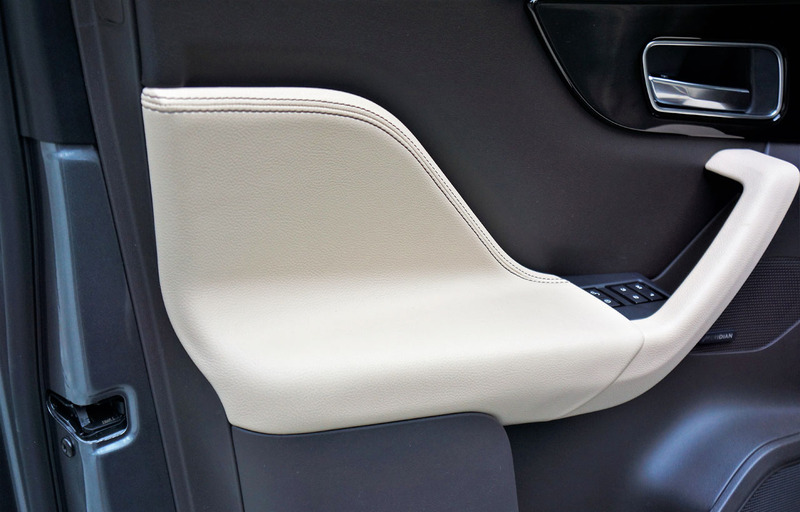 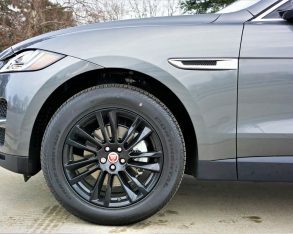 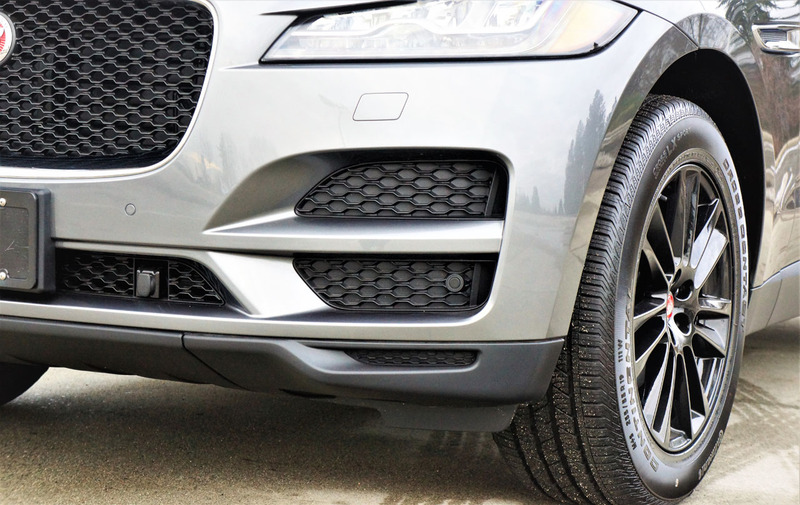 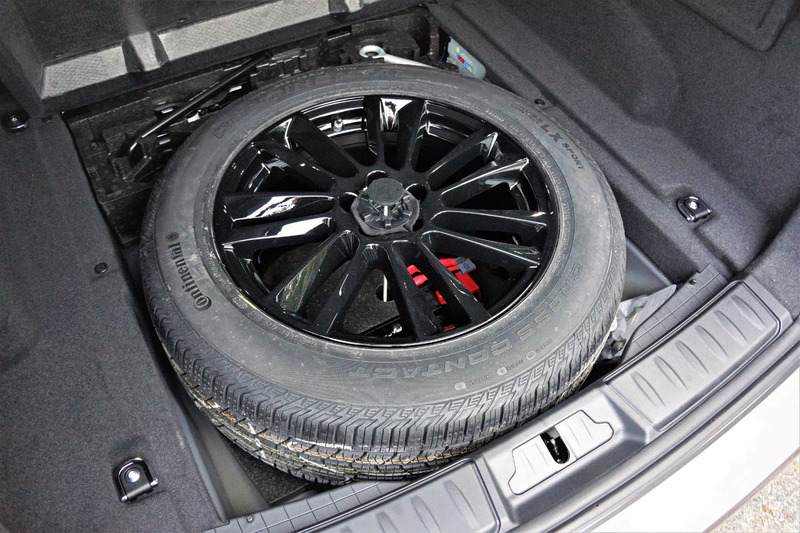 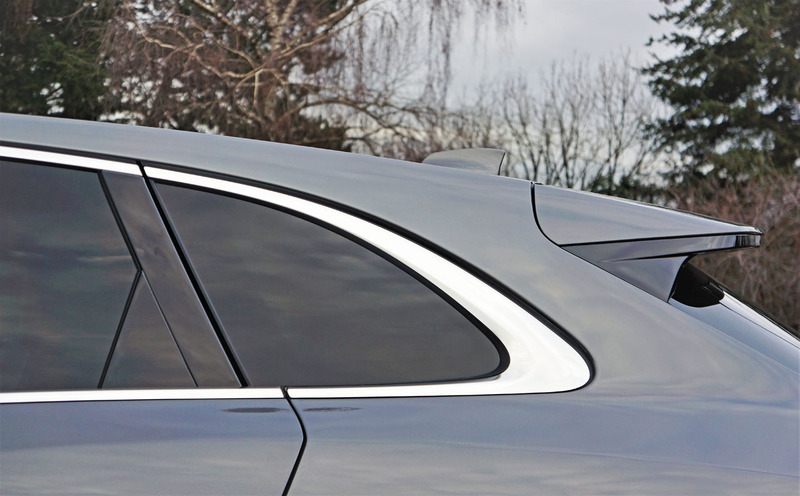 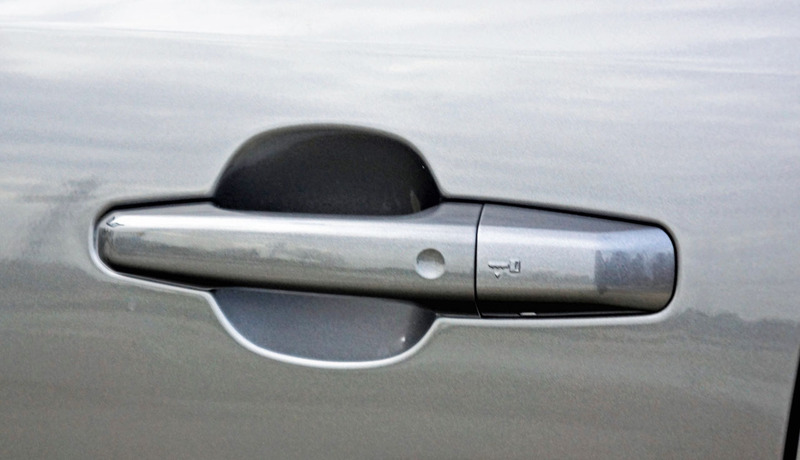 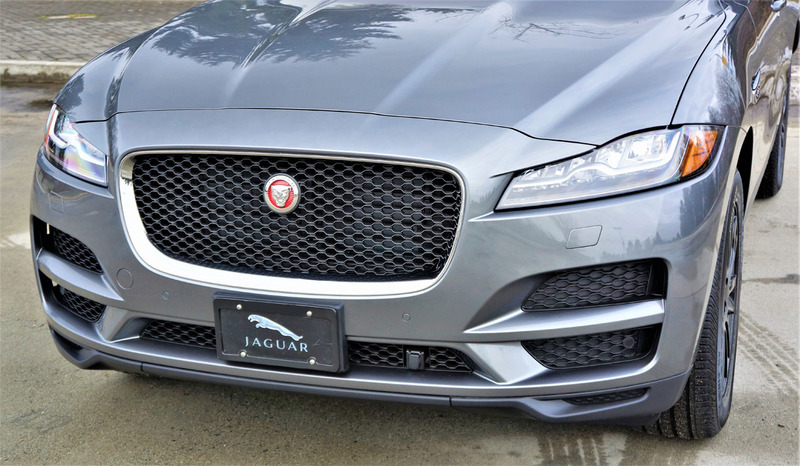 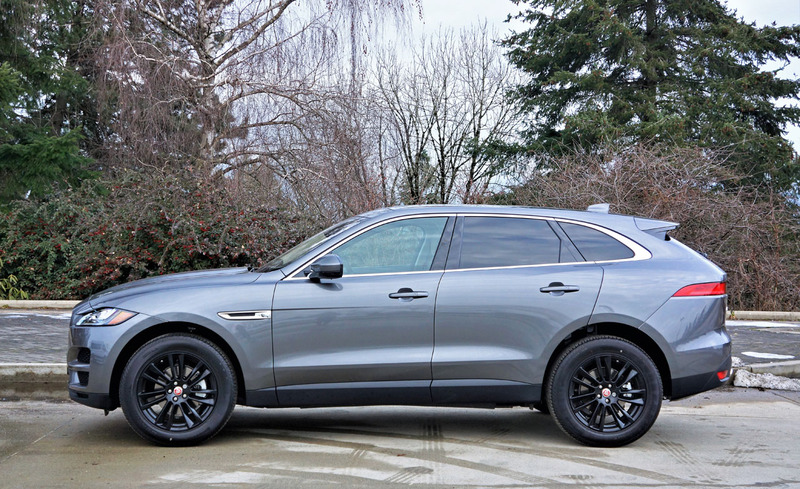 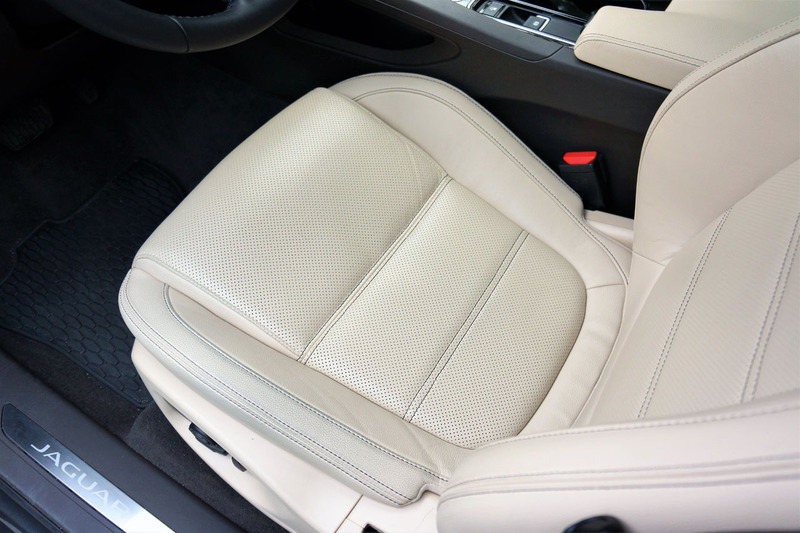 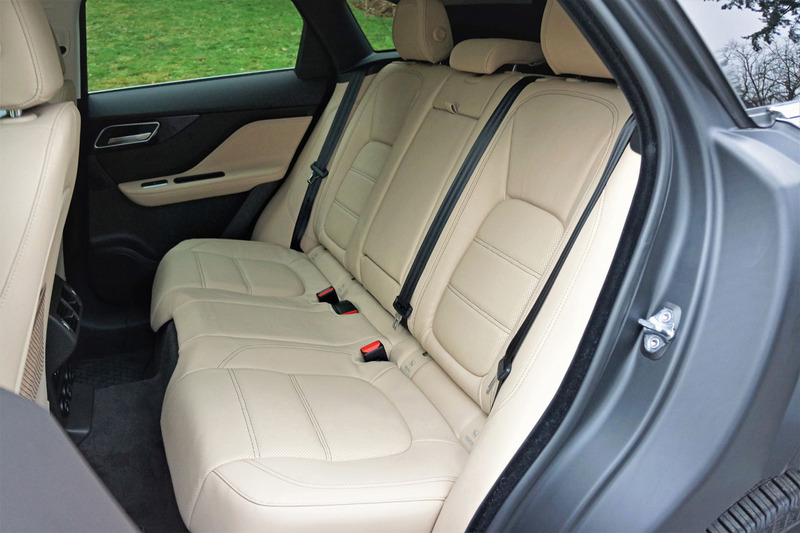 Jaguar offers 20- and 22-inch wheel sizes in both silver and black or combinations of both, plus numerous designs, so take your pick no matter the trim chosen. 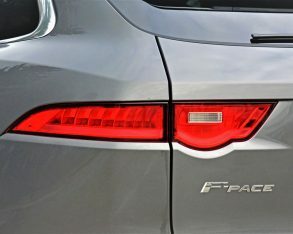 On that note, the F-Pace 20d can be had in Premium, Prestige, or R-Sport trims, my tester riding the middle line in Prestige duds this time. 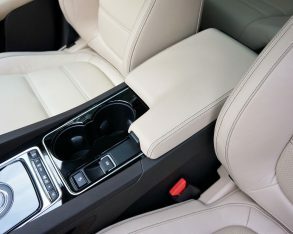 That means it gets HID headlights, chrome side window surrounds, interior ambient lighting, a powered steering column, leather upholstery, four-way powered front lumbar support, heated front seats, front and rear parking sensors, and navigation over the base Premium, but the lesser model is where the majority of goodies are found. 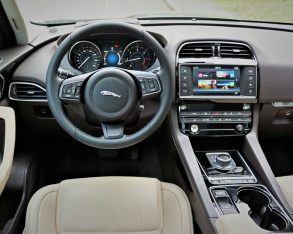 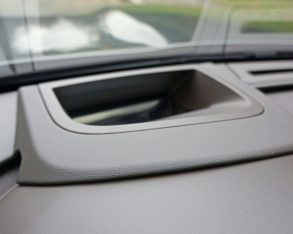 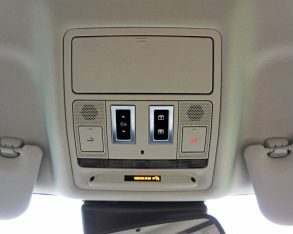 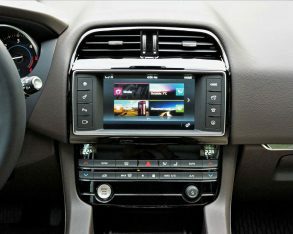 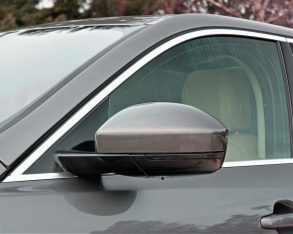 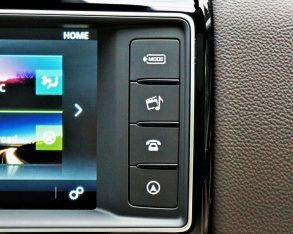 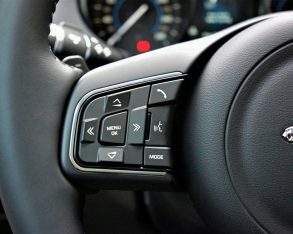 auto-dimming rearview and side mirrors, a 5.0-inch colour TFT instrument cluster display, 8.0-inch InControl touchscreen infotainment, a backup camera with active guidelines, 380-watt 11-speaker Meridian audio with AM/FM/HD/satellite radio, USB/aux ports and Bluetooth media streaming, dual-zone auto climate control, Jaguar InControl Protect emergency telematics, a panoramic sunroof, a powered tailgate, versatile 40/20/40 split-folding rear seatbacks that expand its class-leading cargo space from 648 litres (22.9 cubic feet), or 948 litres or 33.5 cubic feet) by EPA standards, to 1,798 litres (63.5 cubic feet), a reversible cargo floor, tire-pressure monitoring, and all the expected active and passive safety features. 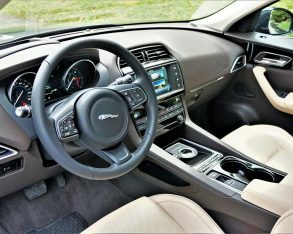 LED “J” Blade daytime running lights, and blindspot monitoring with reverse traffic detection; a $1,950 Comfort and Convenience pack featuring perforated creamy Latte Taurus leather upholstery and trim on a milk chocolate brown background, climate controlled front seats, heatable rear seats that were also power reclining, rear seat remote release levers, and a proximity-sensing gesture controlled powered liftgate; while standalone features included a helpful $1,000 head-up display that projects vitals on the windscreen, the wheels mentioned earlier, $650 worth of Ammonite Grey metallic paint, and a $450 full-size spare. 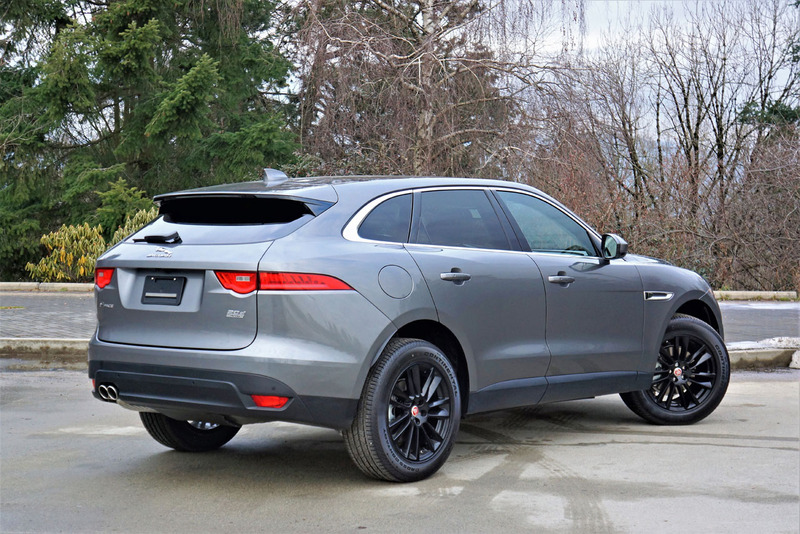 least it’s tied with Porsche’s Macan when suited up in aforementioned R-Sport or S trim. 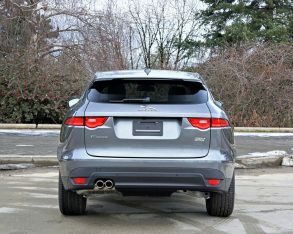 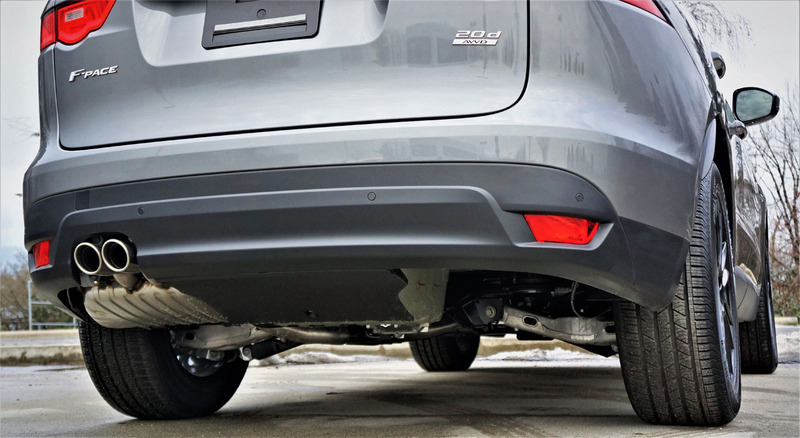 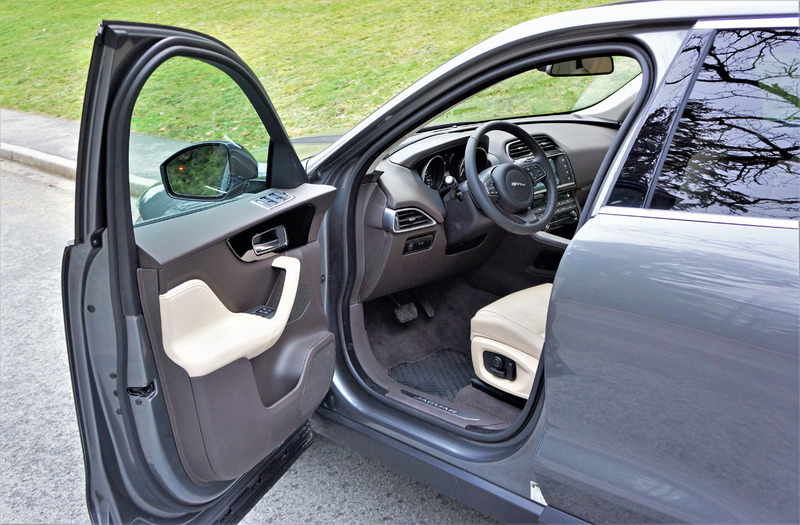 It feels mighty through the curves in 20d guise too, the SUV’s aluminum double wishbone front suspension and unique subframe-mounted multi-link setup in back joining up with class-exclusive bonded and riveted aluminum-intensive construction to help lighten and stiffen its body structure for a nimbler and safer SUV. 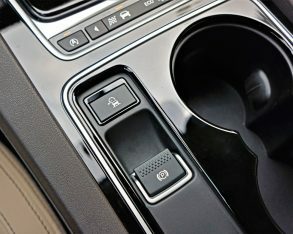 instead. 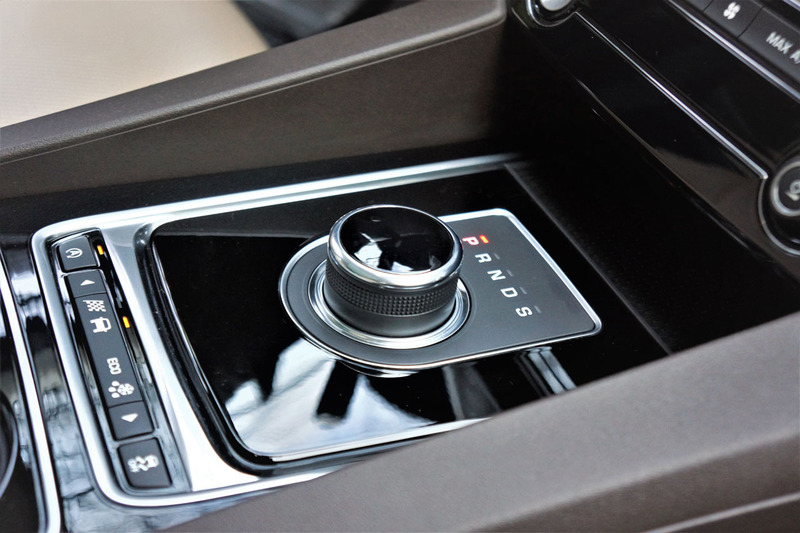 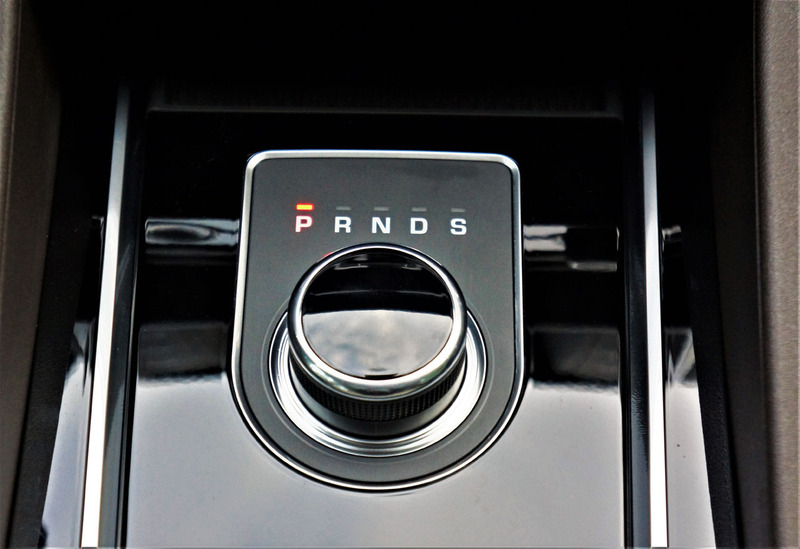 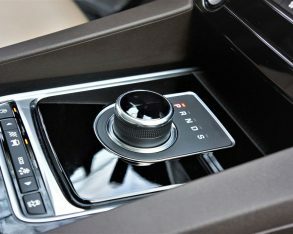 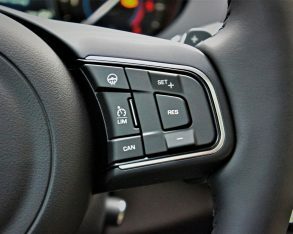 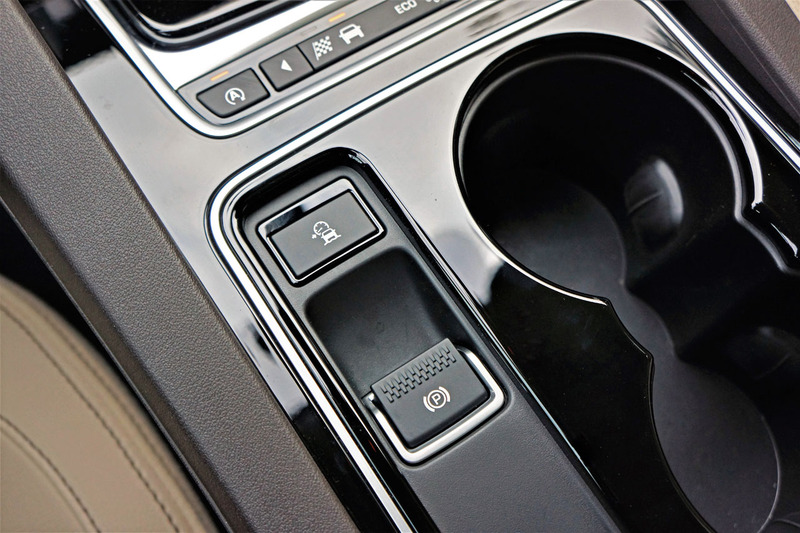 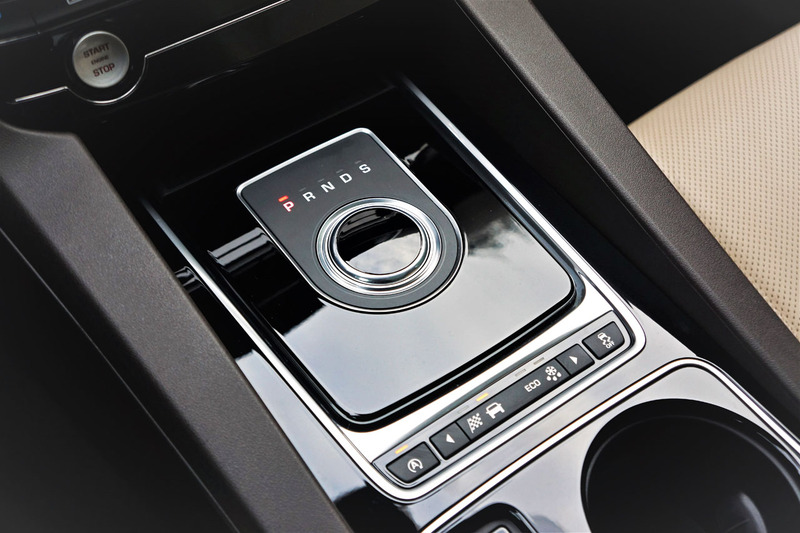 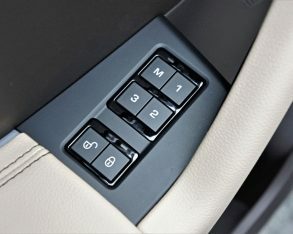 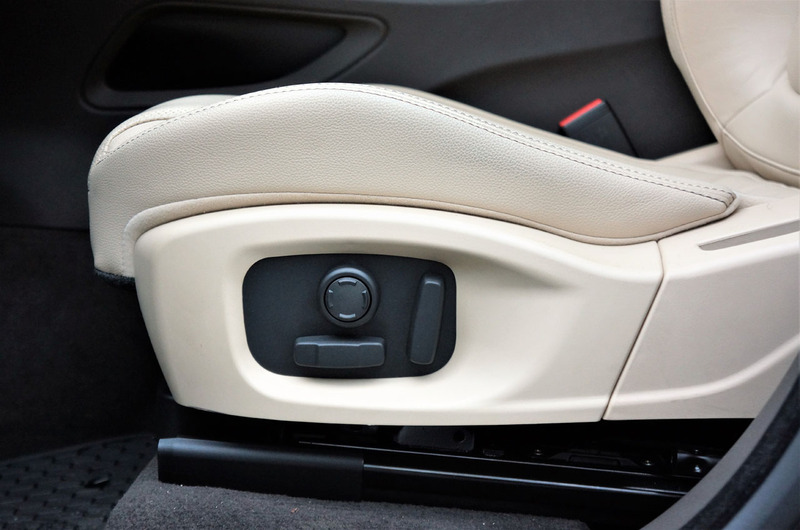 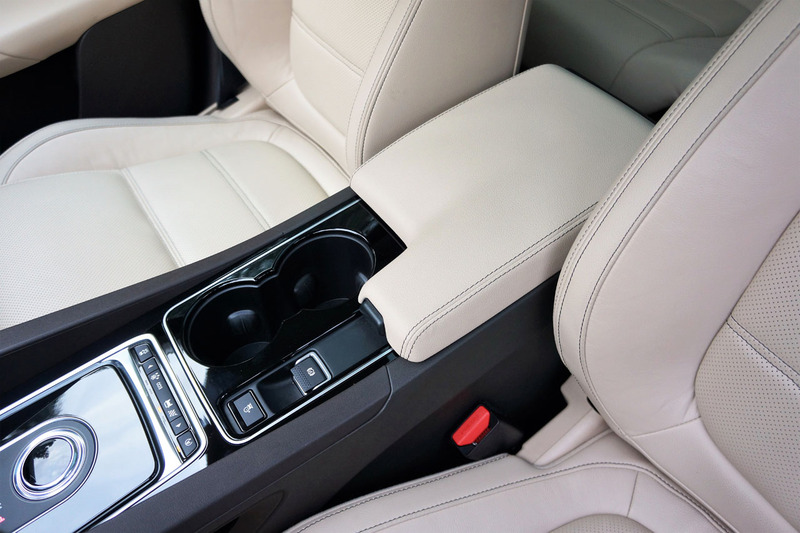 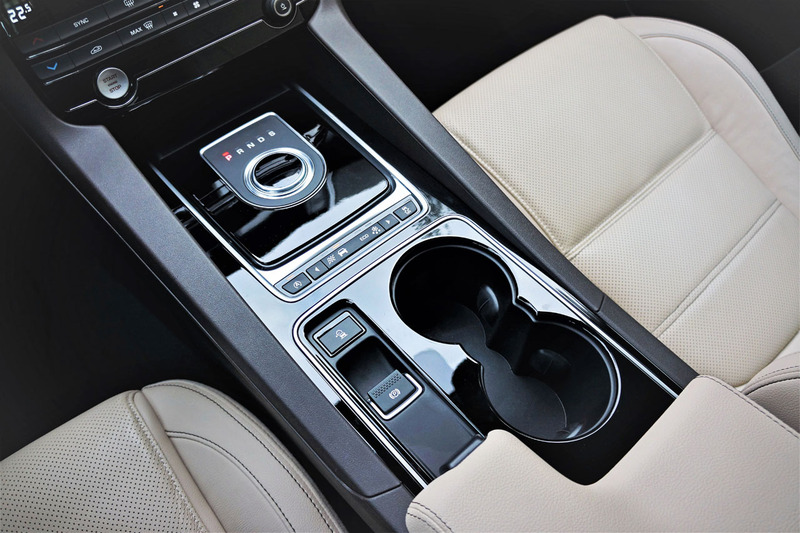 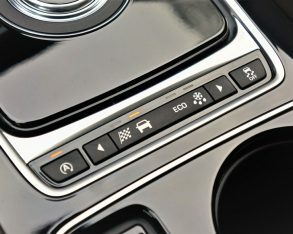 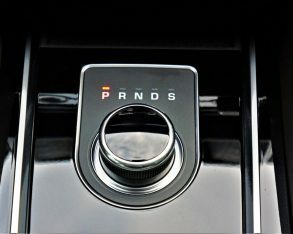 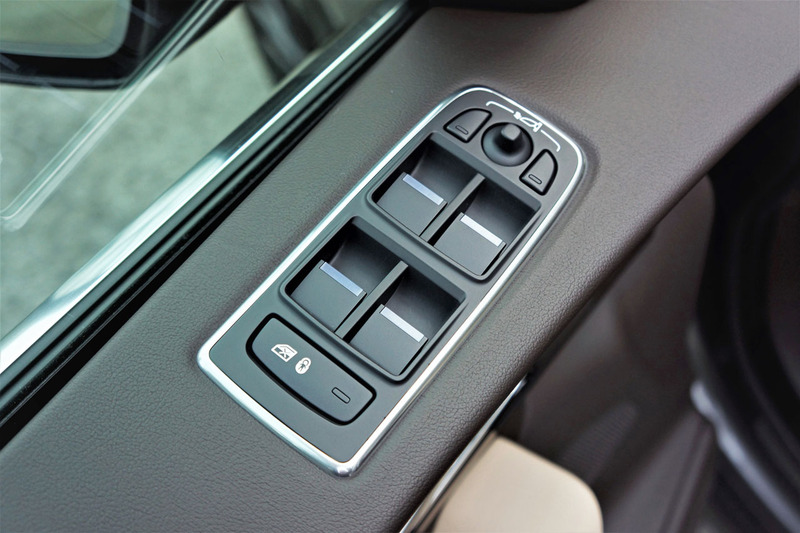 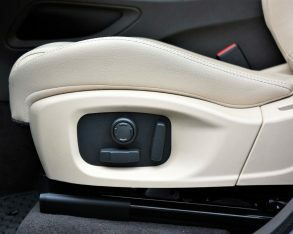 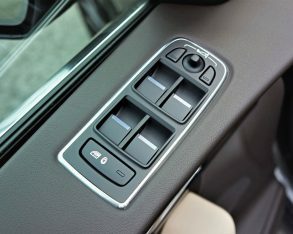 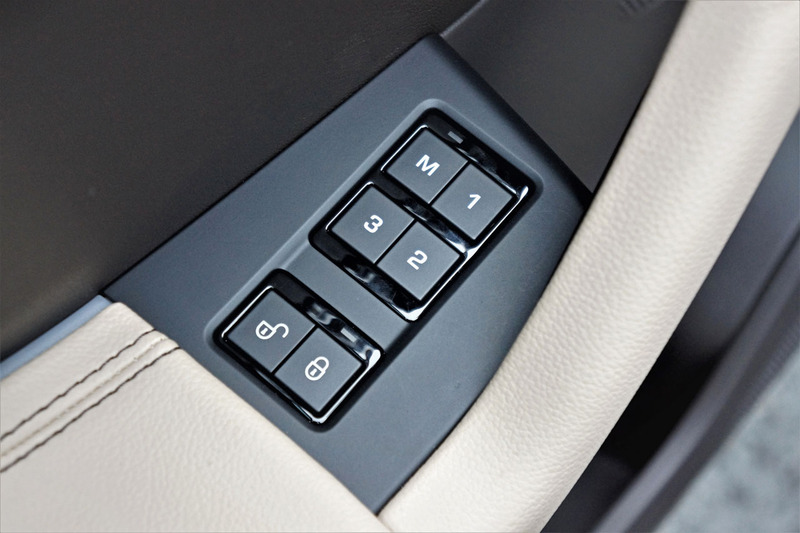 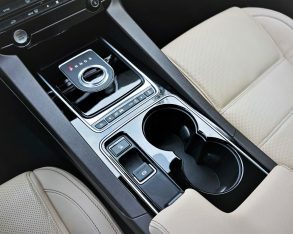 The transmission uses eight forward gears, like most in the premium segment, and combines smooth operation when driving at a more relaxed clip and snappy response when pushing harder in Sport mode. 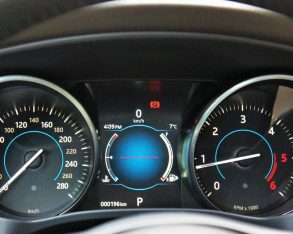 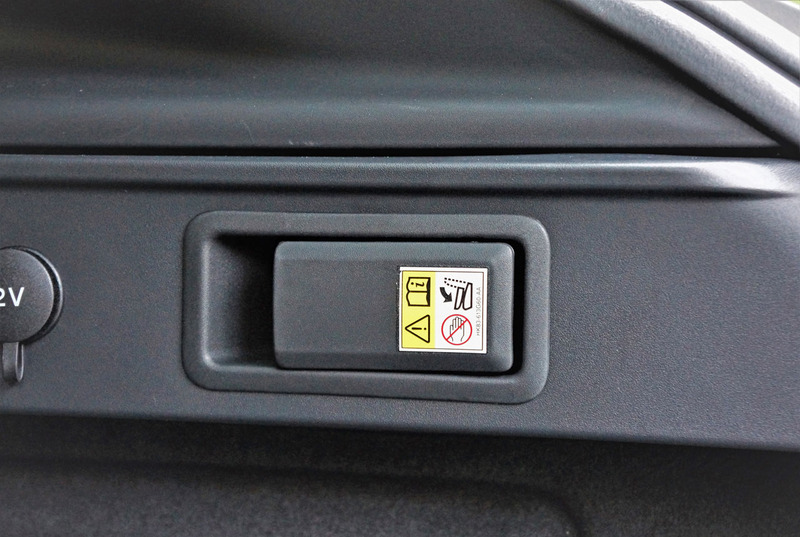 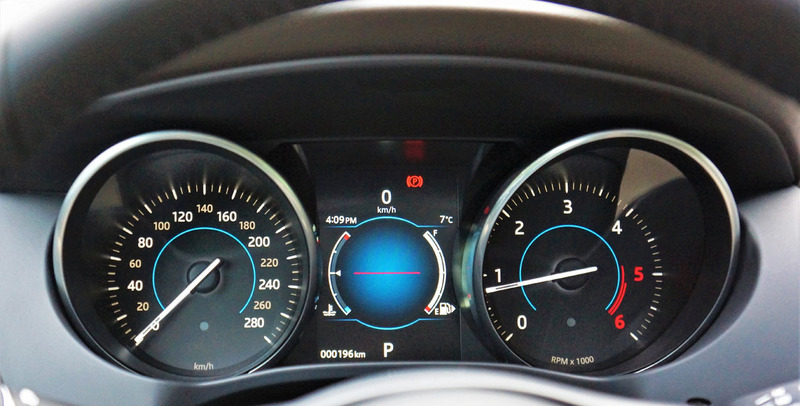 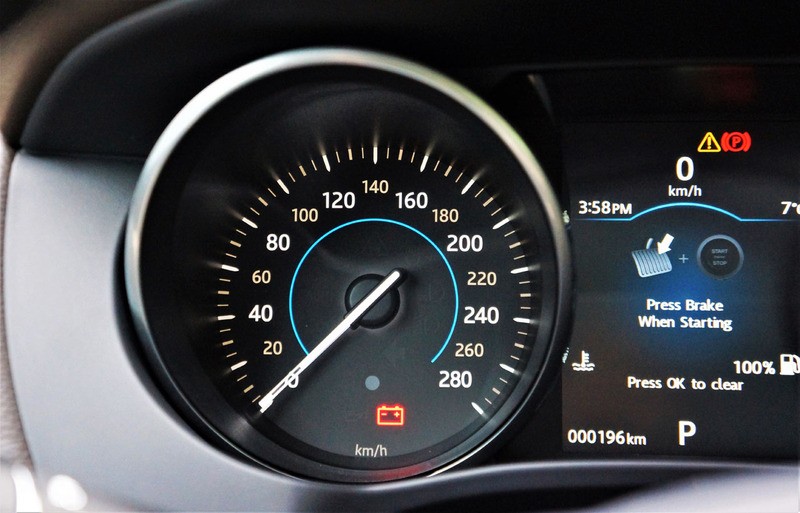 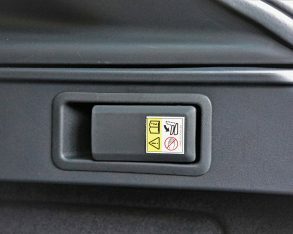 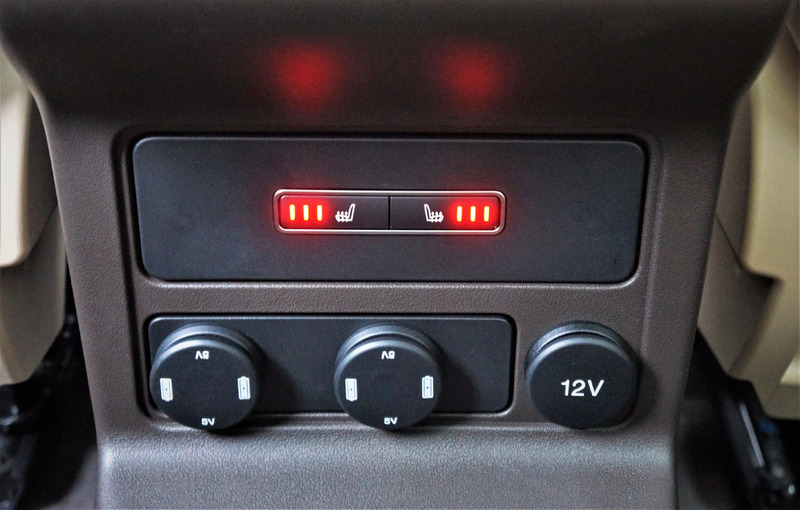 Eco mode helps eke the most from its 60-litre fuel tank, a feature I used more with the 20d than when strapped into the 3.5t, while auto start/stop shuts the engine off when it would otherwise be idling, saving yet more fuel and reducing emissions further. 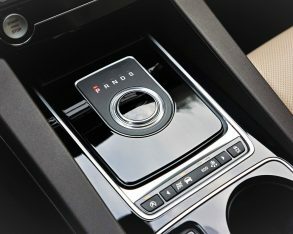 piano black lacquered veneer, genuine metals, and high-resolution digital interfaces. 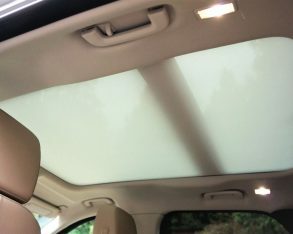 screen, although these are both worth your attention when distraction isn’t an issue. 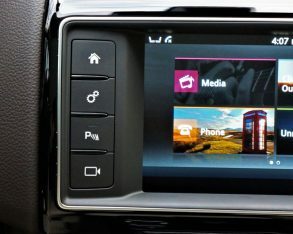 The former is big, colourful and graphically attractive, one of the nicer base systems in the class, and the latter is also large with superb graphics, especially if you like classic British scenery, a lone red phone booth standing in a field used for Bluetooth connectivity, streaming lights of a multi-lane highway at night (the M1?) 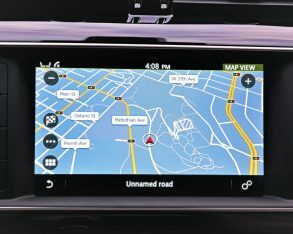 for navigation guidance with 2D or 3D mapping, more of an Icelandic or Greenlandic dusk theme (then again it could be Alberta) for climate control, and so forth. 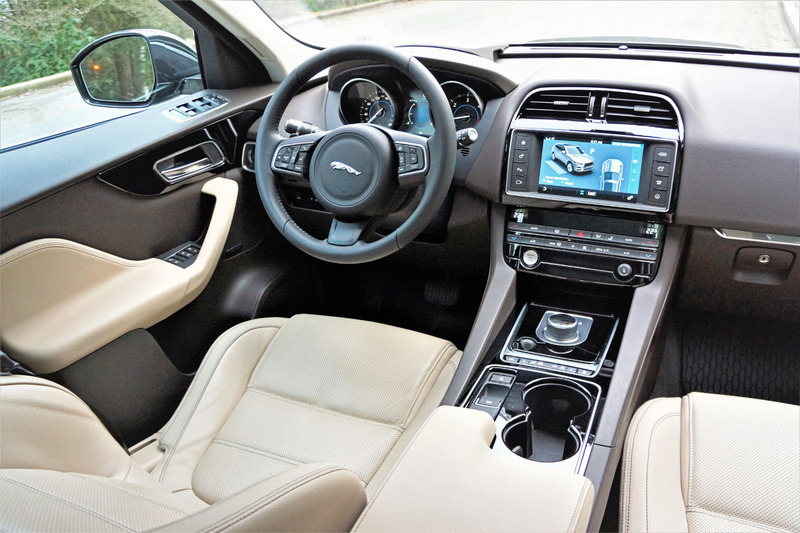 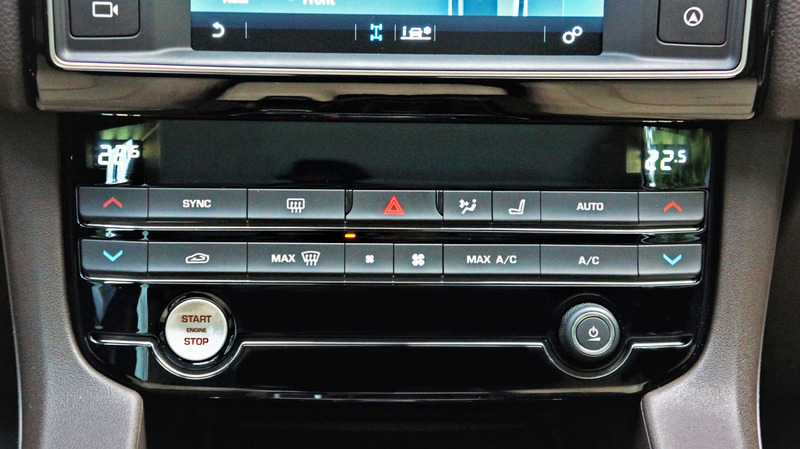 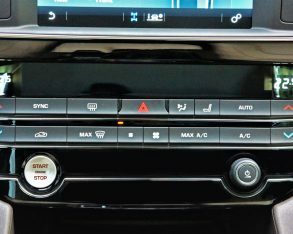 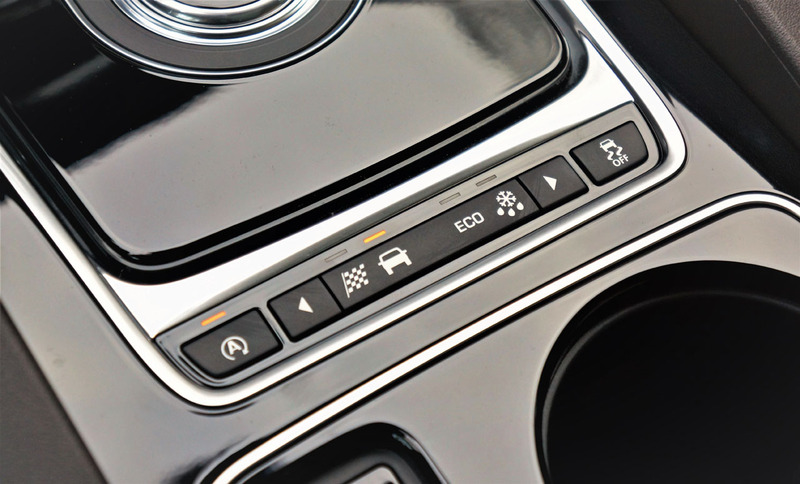 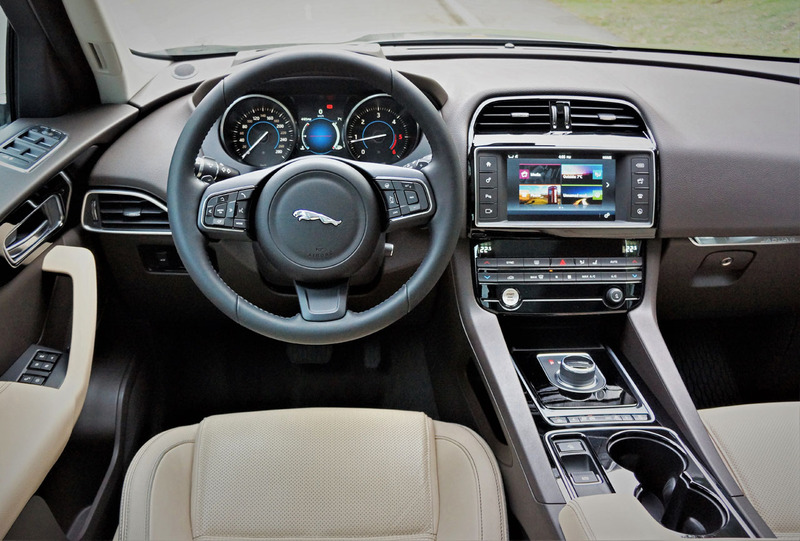 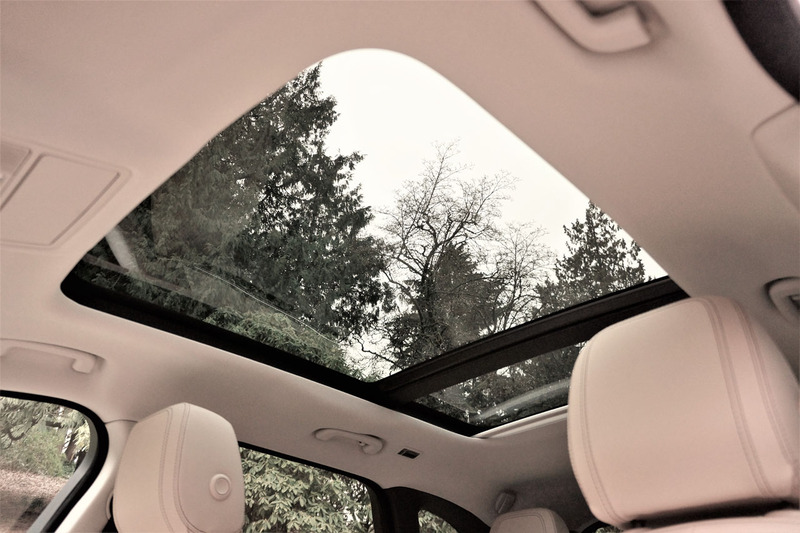 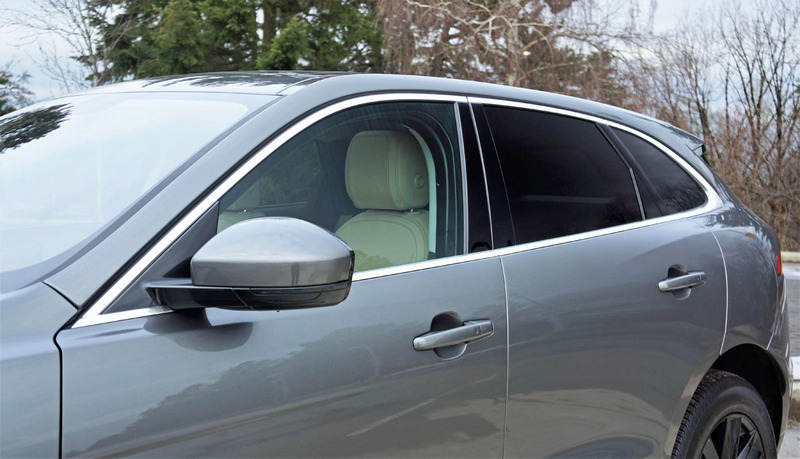 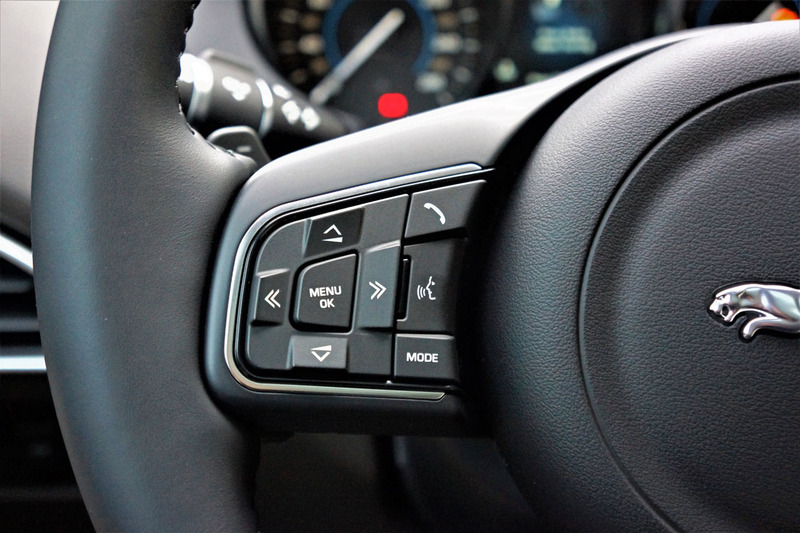 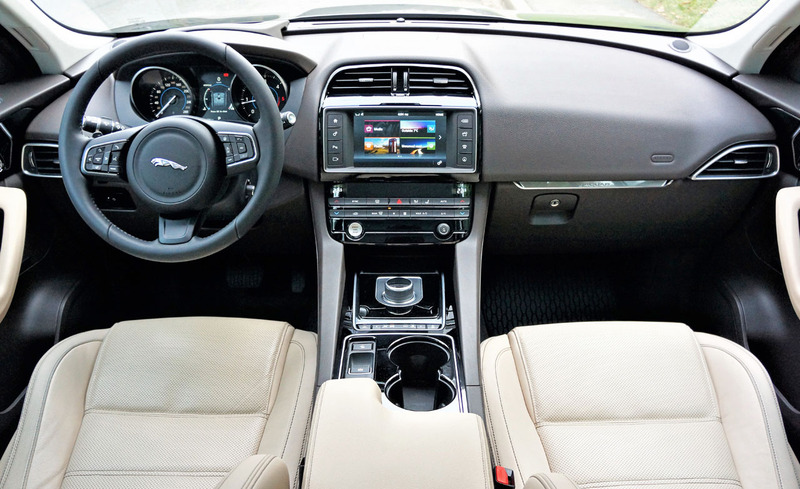 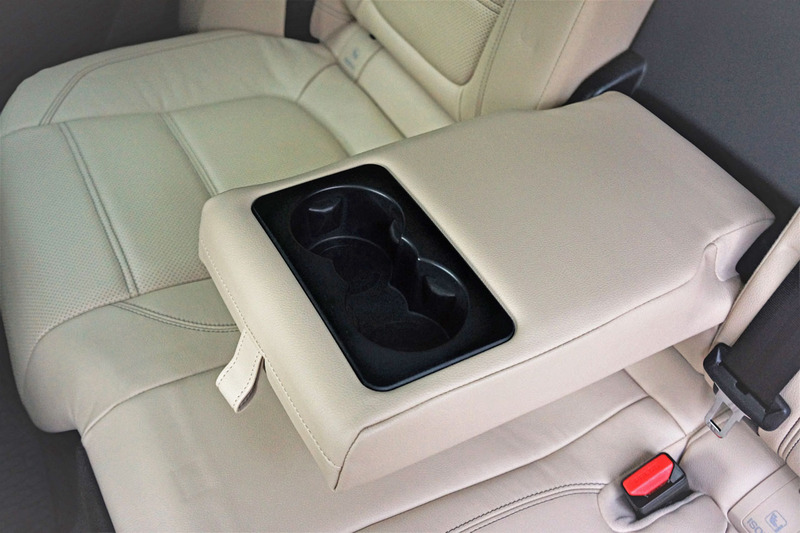 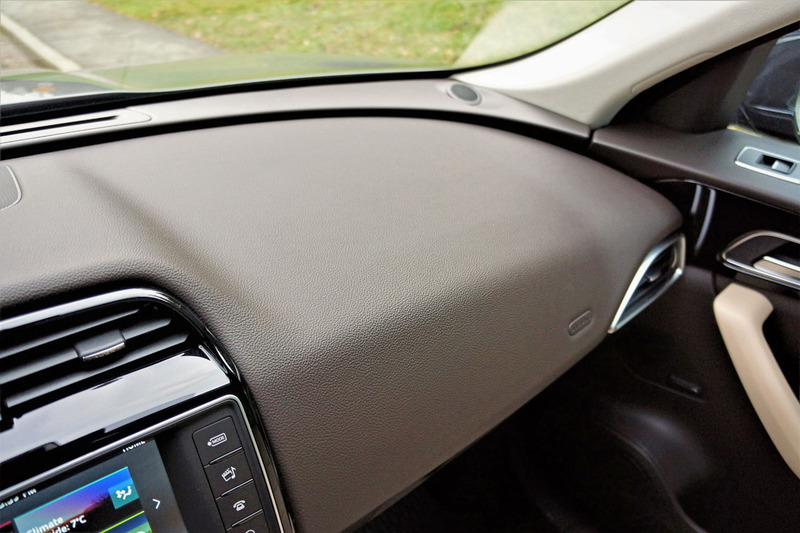 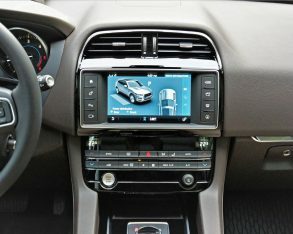 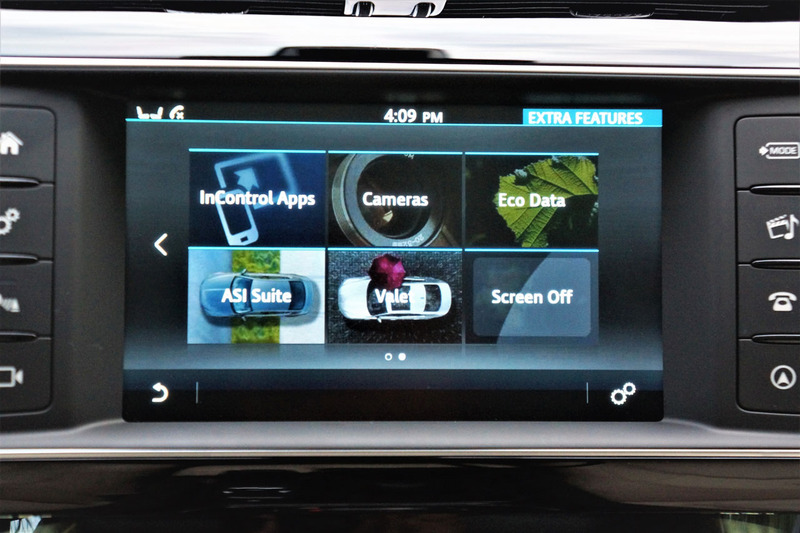 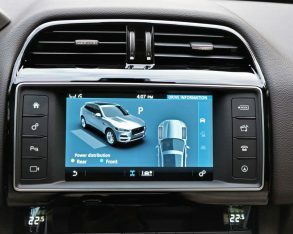 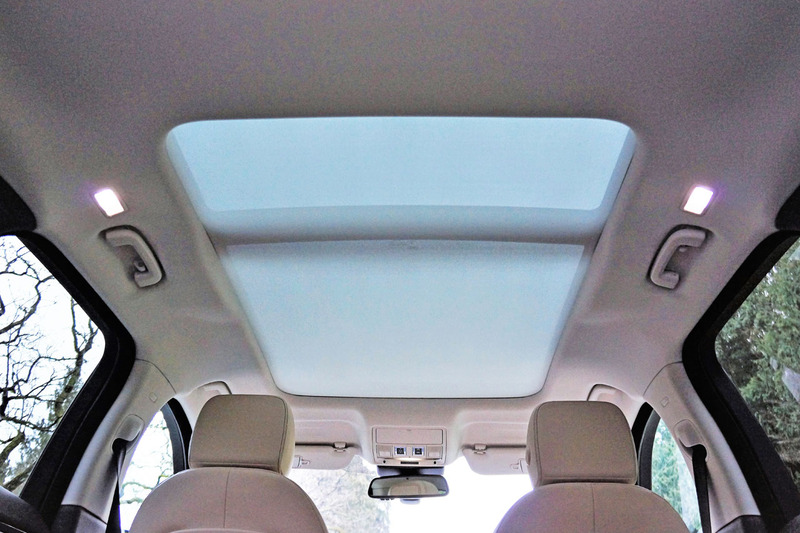 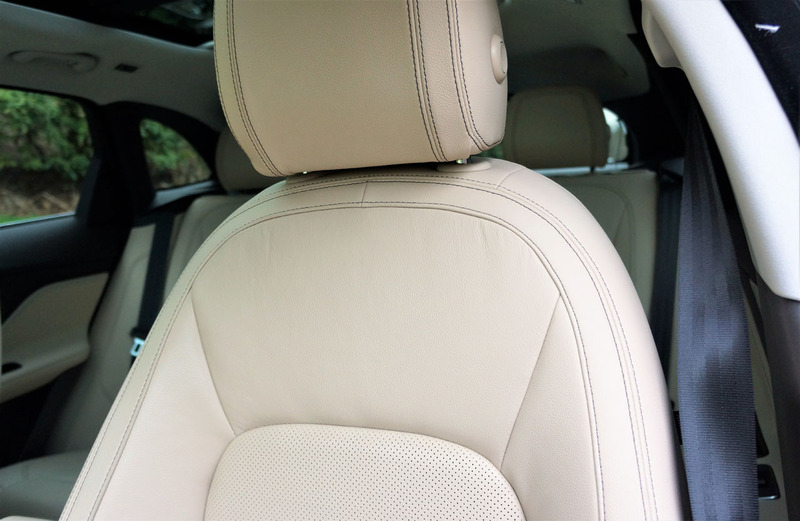 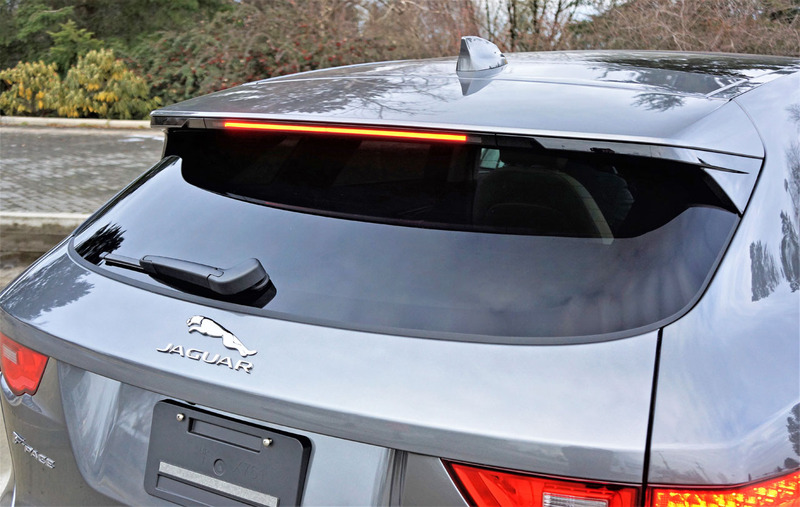 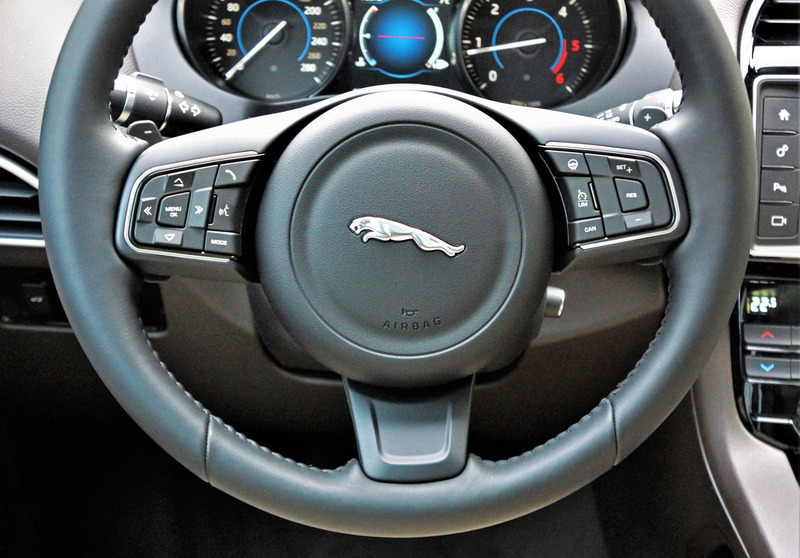 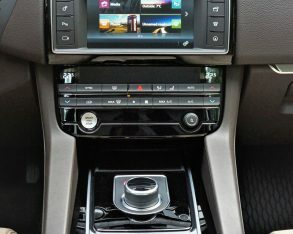 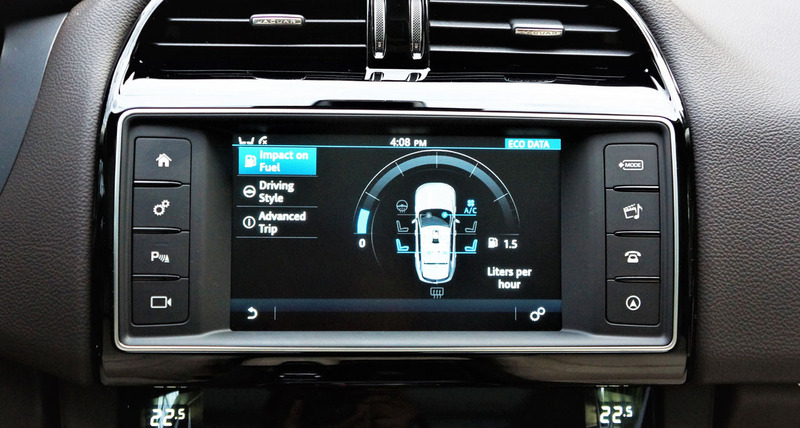 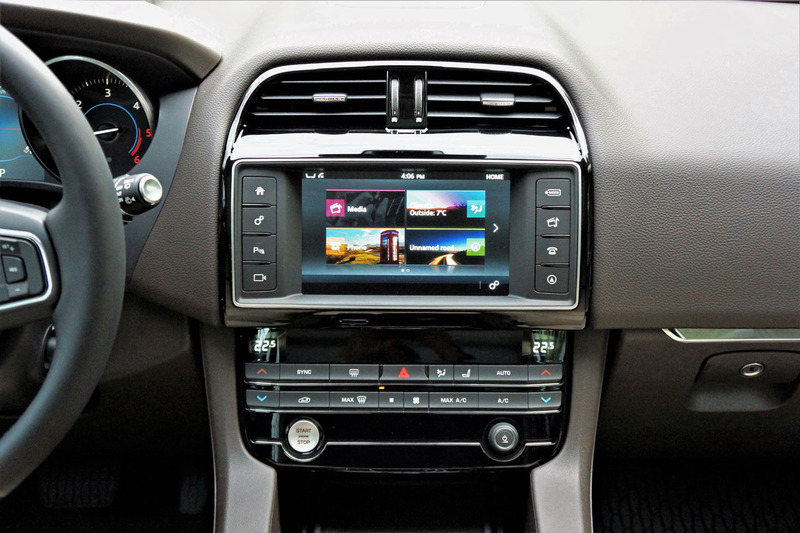 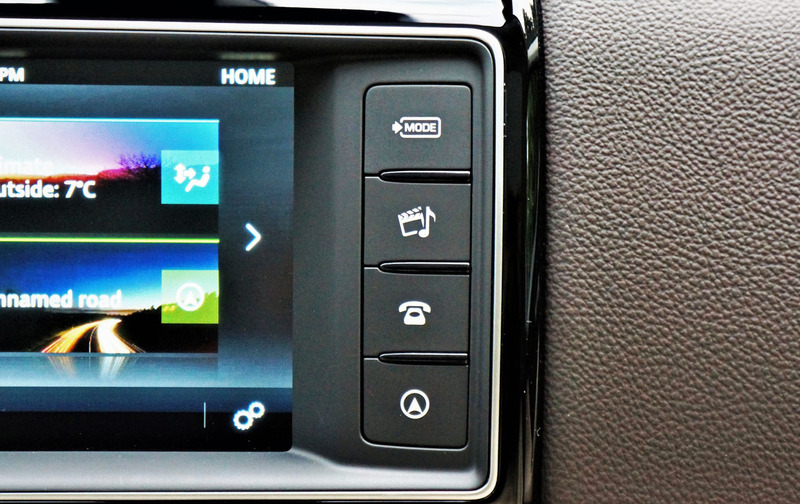 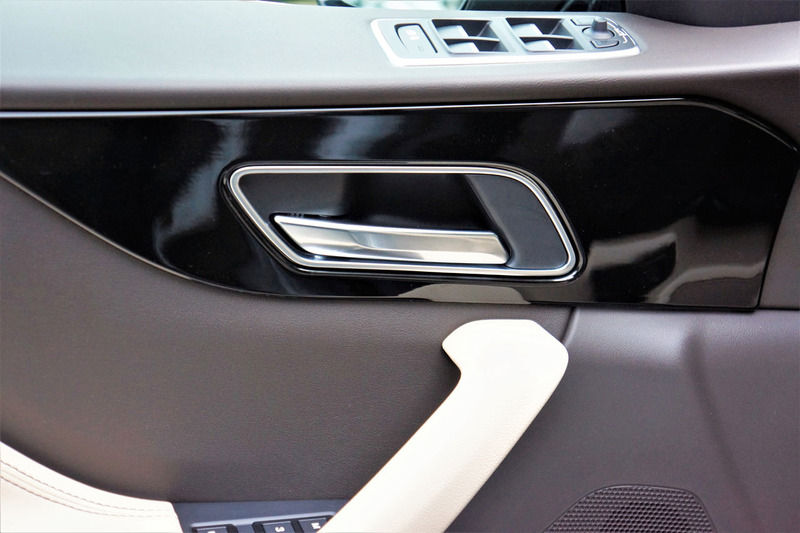 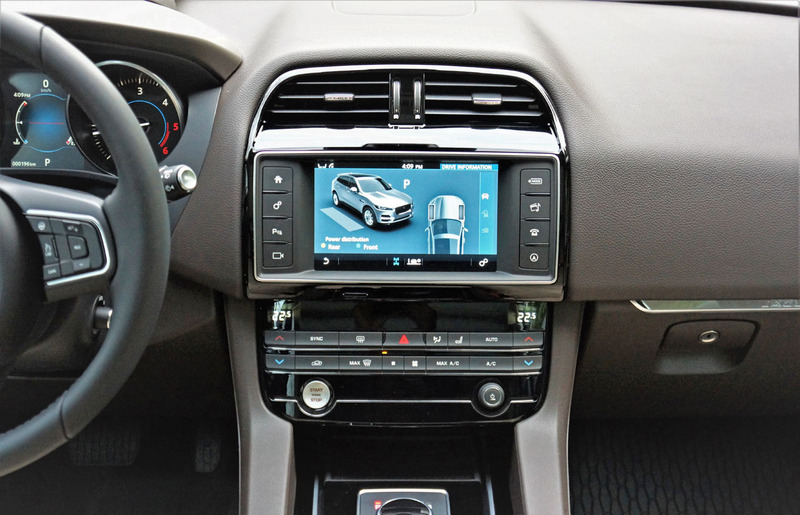 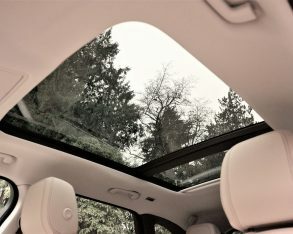 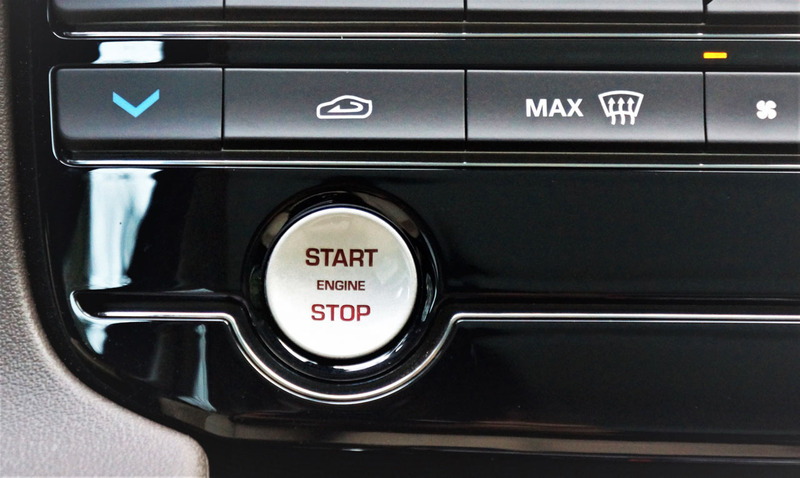 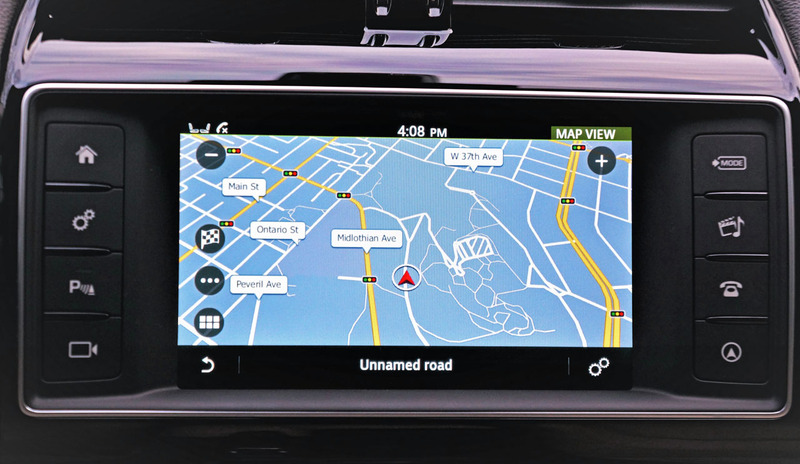 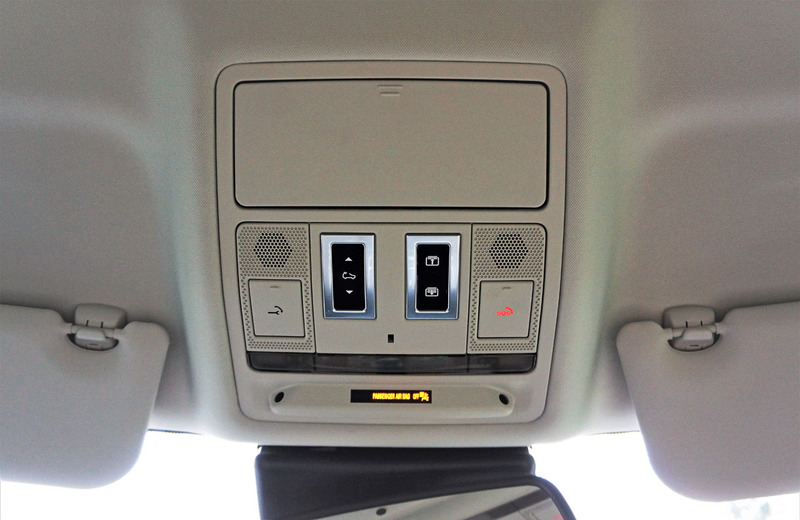 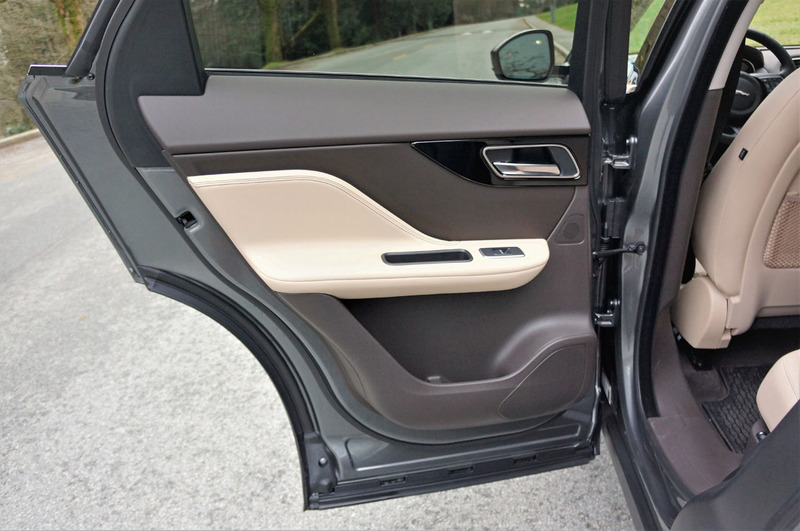 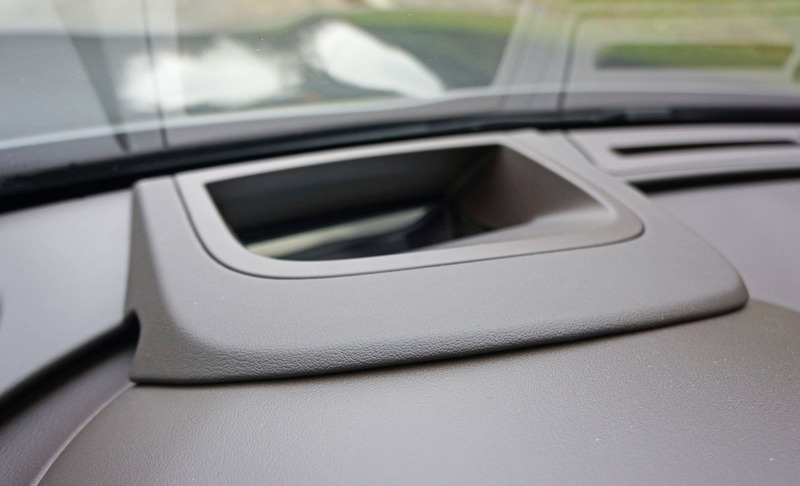 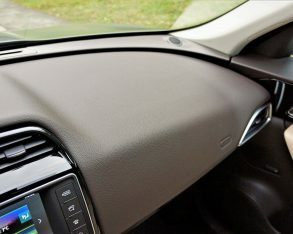 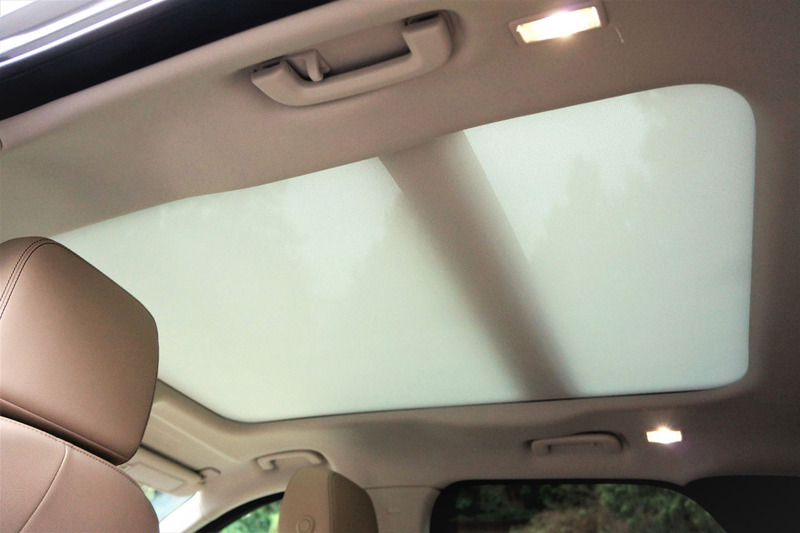 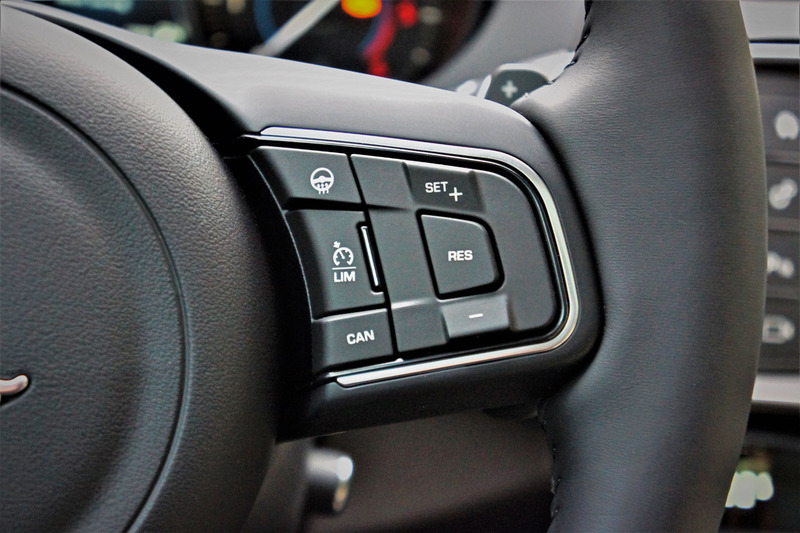 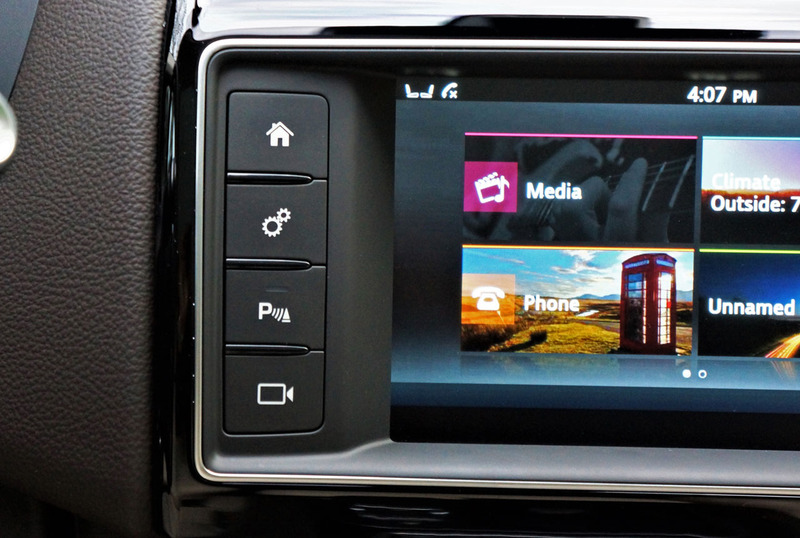 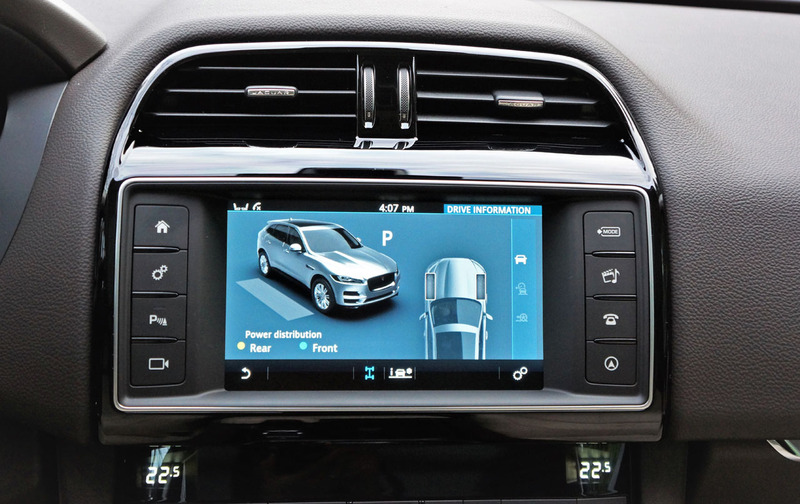 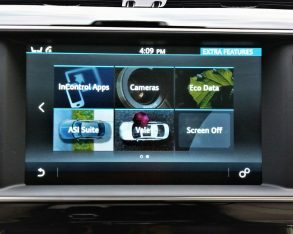 The base 8.0-inch touchscreen also includes a backup camera with dynamic guidelines, text-to-voice, audio streaming, Jaguar InControl Apps and more. 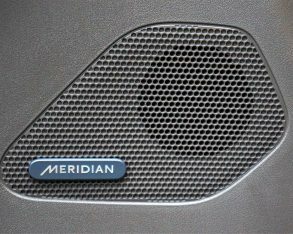 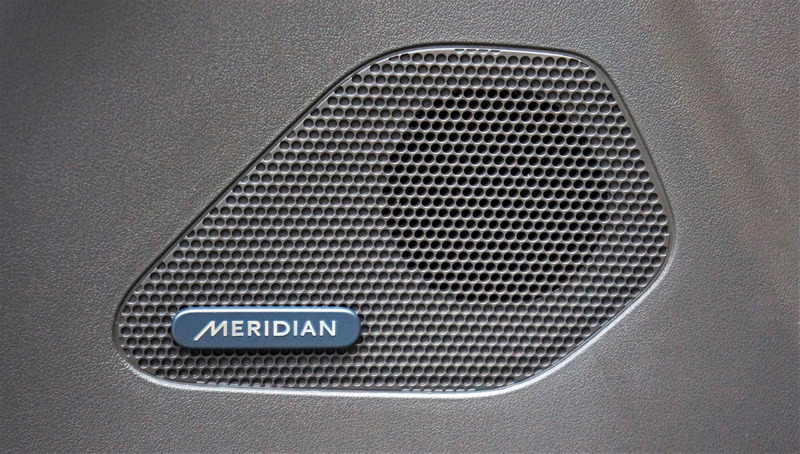 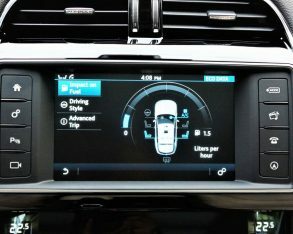 should probably mention the 20d Prestige can be upgraded with more features, the $3,100 Technology pack adding a fully digital and driver configurable 12.3-inch TFT instrument cluster, larger InControl Pro 10.2-inch touchscreen infotainment with enhanced navigation, and more powerful Meridian audio with digital surround sound; and a $1,000 Adaptive Dynamics pack with adaptive dampers and adaptive surface response; while standalone options not yet mentioned include a $400 heatable windshield, $200 Etched Aluminum or $400 Gloss Figured Ebony hardwood inlays, a $400 Activity Key waterproof wristband that lets you inside in place of the key fob, $350 Wi-Fi, $150 cargo area storage rails, and a $650 tow hitch. 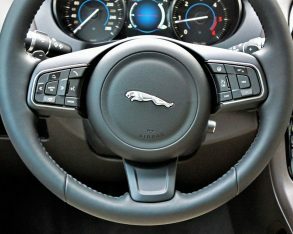 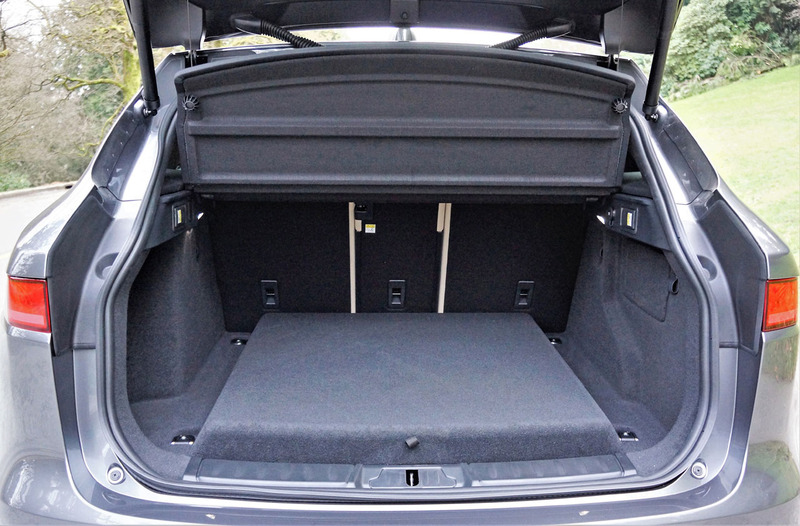 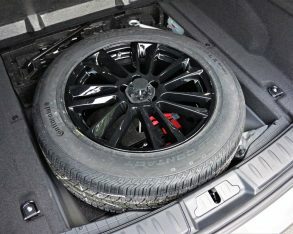 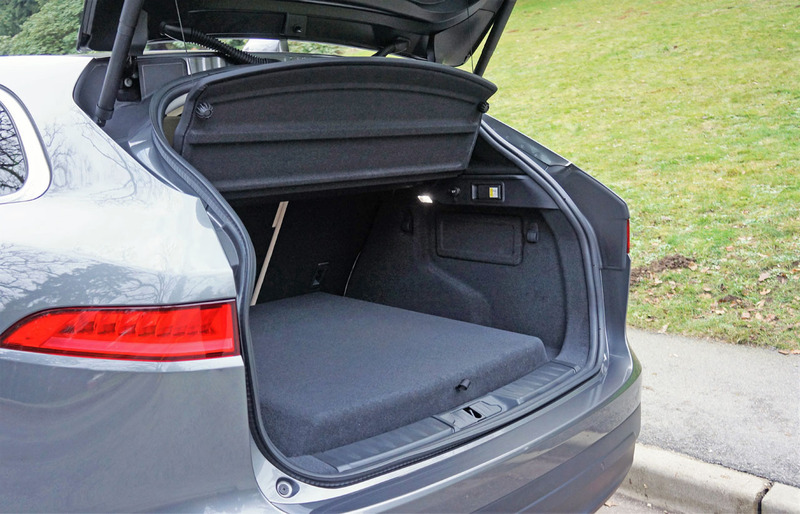 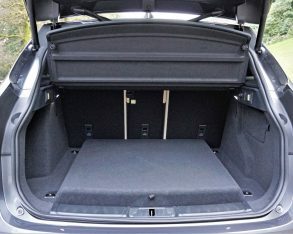 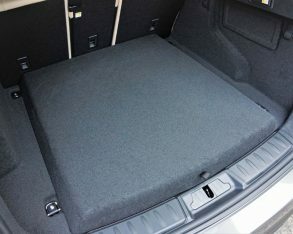 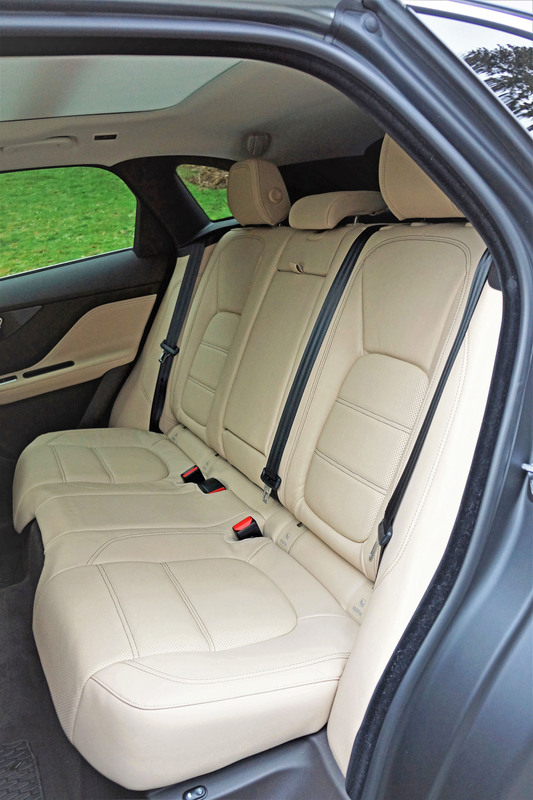 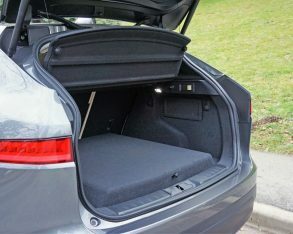 R-Sport, plus freight and dealer fees, the latter trim adding 20-inch alloys, a sportier body kit, the upgraded leather-clad interior my tester included, and more. 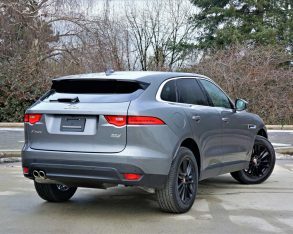 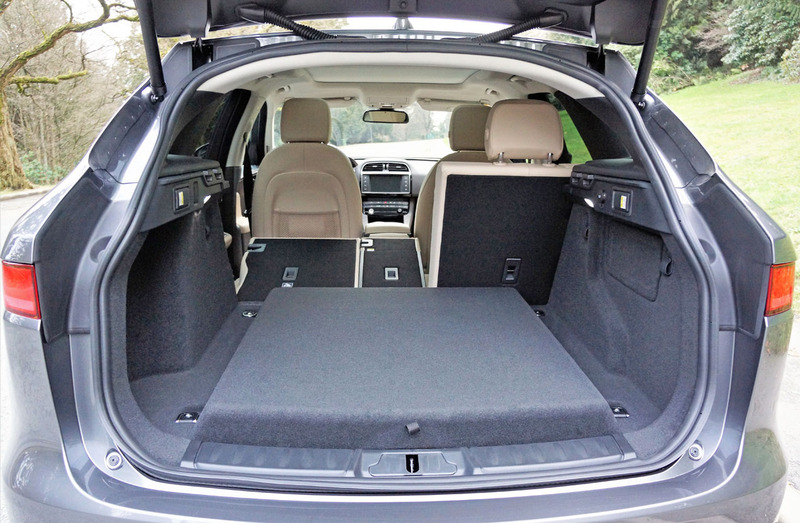 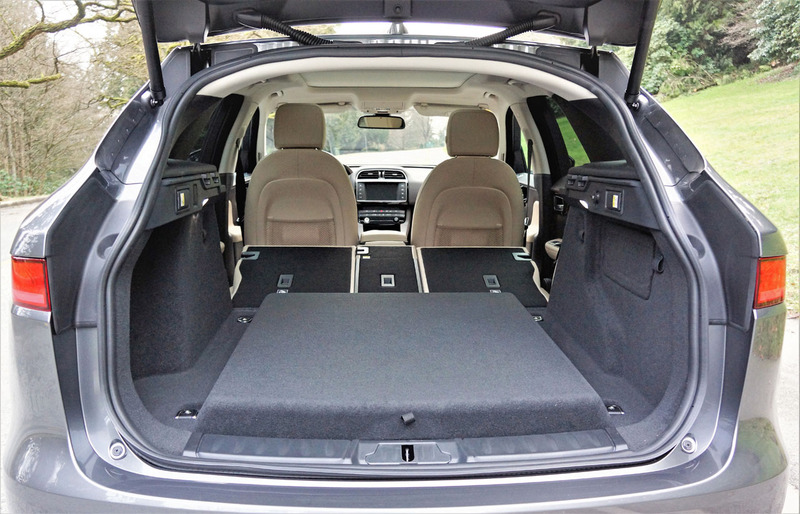 That base price makes it the second-most expensive SUV in its compact class, something to consider for sure, but while pondering you’ll need to factor in all the standard features I noted earlier and its size, which almost lifts it into the mid-size luxury class. 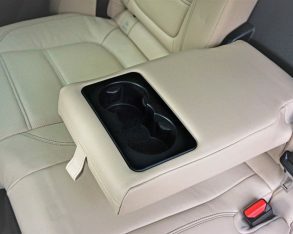 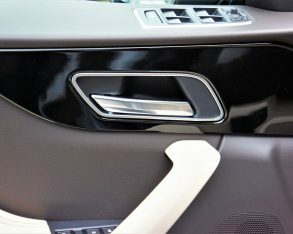 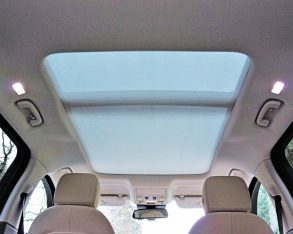 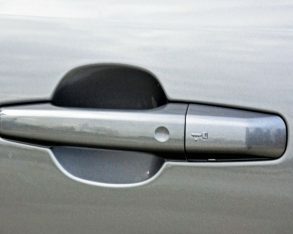 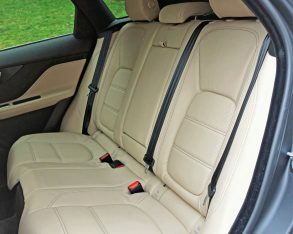 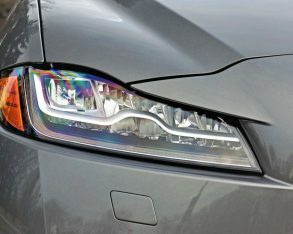 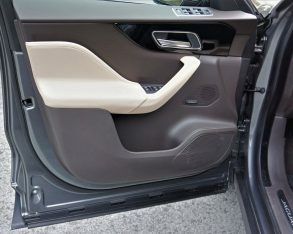 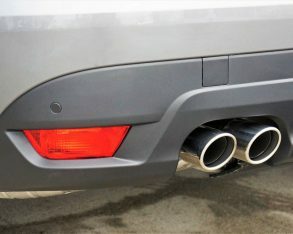 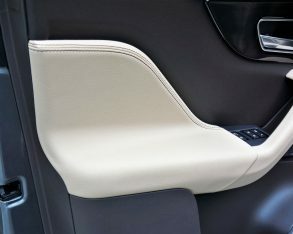 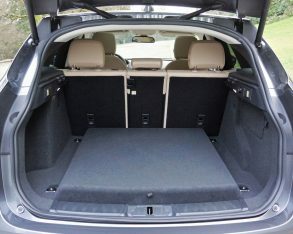 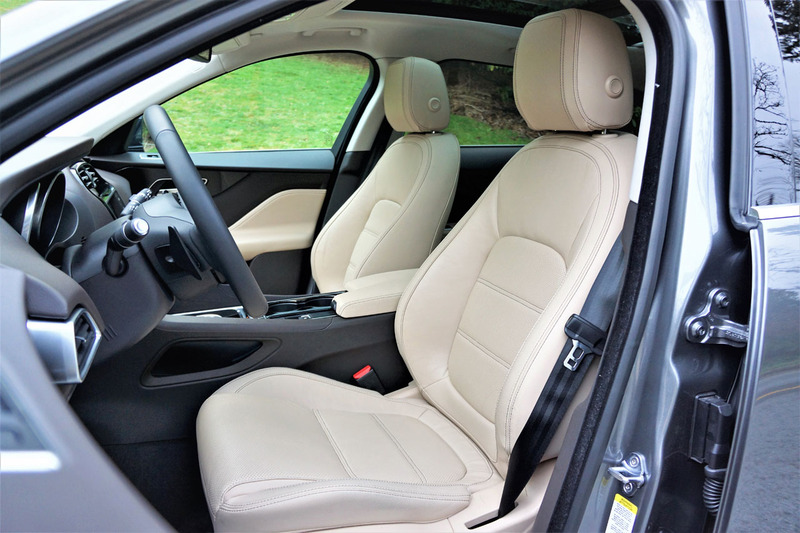 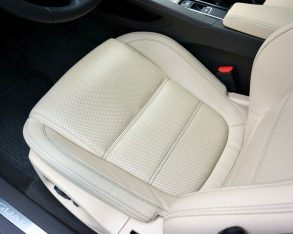 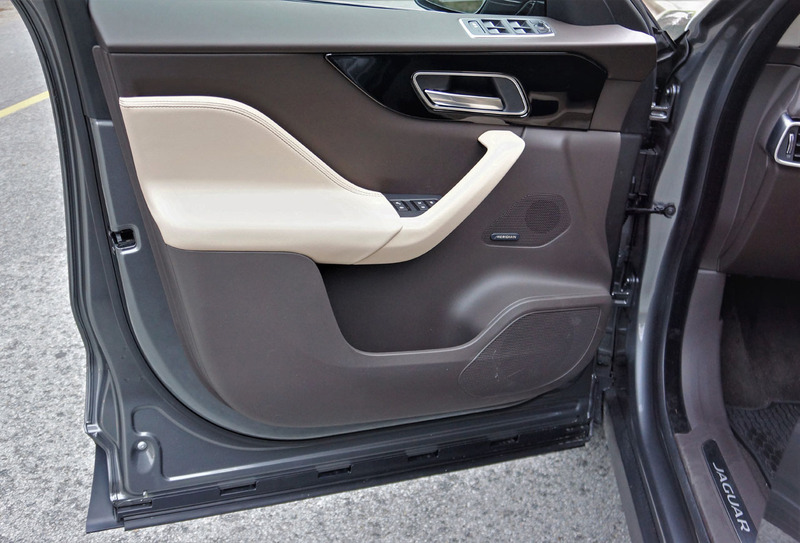 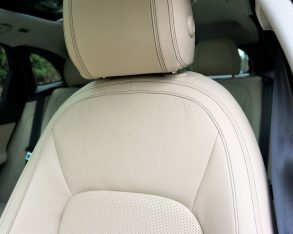 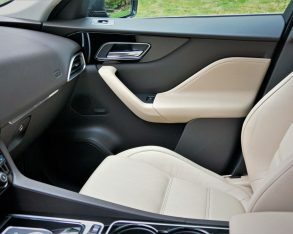 These attributes, plus styling to die for, gives it an edge over many peers, and is reason enough for its superb sales. 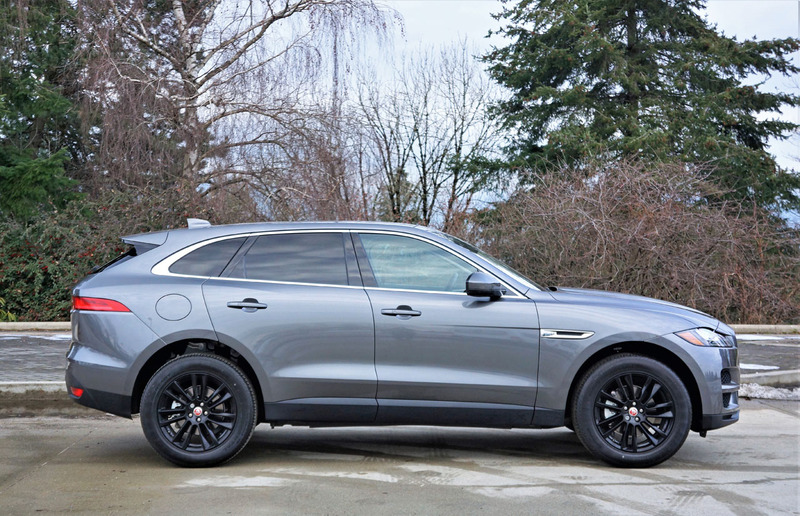 of Volvo’s XC60 (66), Land Rover’s Discovery Sport (89), Lincoln’s MKC (111), and Infiniti’s QX50 (120), while it’s not too far away from matching Porsche’s Macan (218) either. 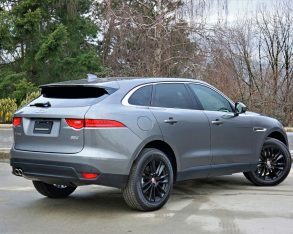 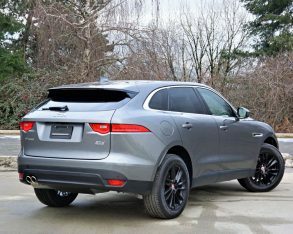 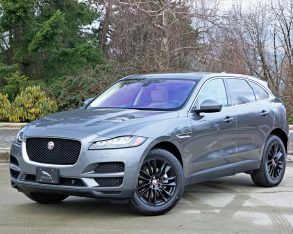 Such success might pale in comparison to Audi’s Q5 (498), Acura’s RDX (455), Mercedes’ GLC (428), BMW’s X3 (398), and Lexus’ NX (356), but for Jaguar, a lower volume player, it represented 63.3 percent of total sales. 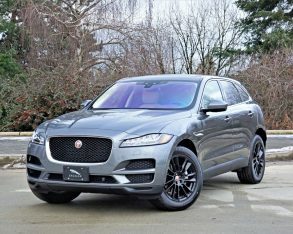 That’s massive, and not only for Jaguar but also for the entire JLR group that saw this upstart SUV slot into second place behind the division’s top-selling Range Rover Sport last month.